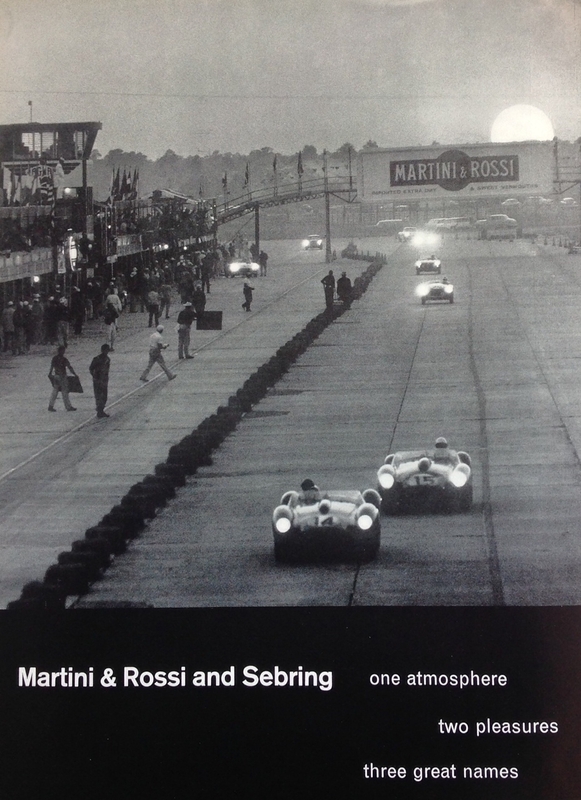 Motor racing memories, observations & opinions on the sports past, present & future…. They won the alpine classic from the Ove Andersson/John Davenport Lancia Fulvia and Vic Elford/David Stone Porsche 911S. 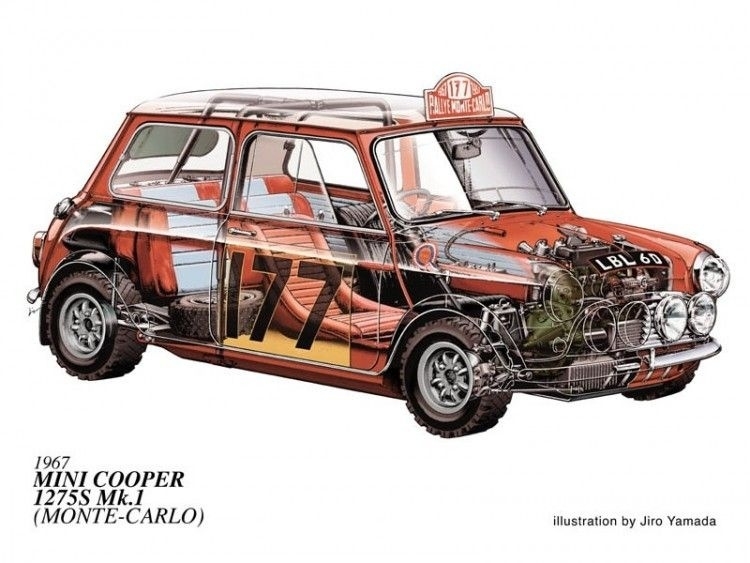 By 1967 the Mini Cooper S was long established as a race and rally winner; in the Monte the cars won in 1964, 1965 and 1966, the cars driven by Paddy Hopkirk/Henry Liddon, Timo Makinen/Paul Easter and in ’66 Makinen, Aaltonen and Hopkirk dominated the event. 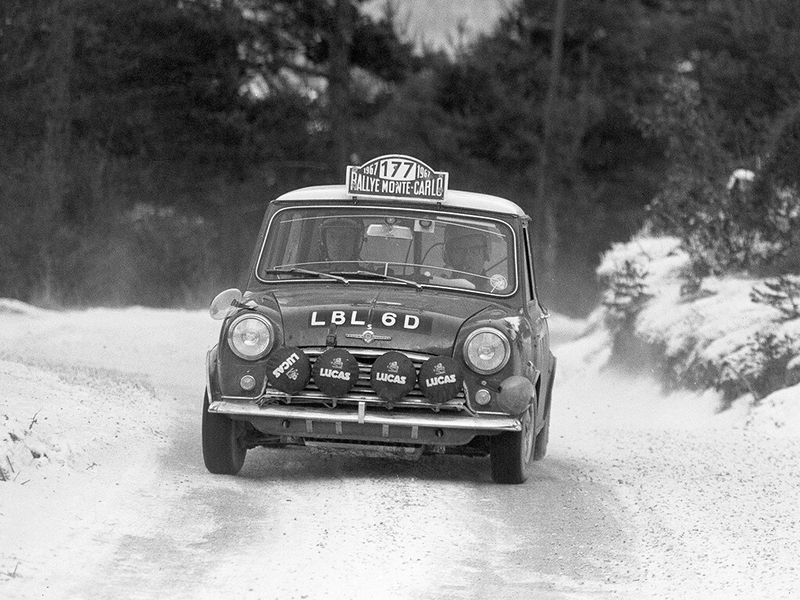 They finished in that order only to have French officialdom throw them out, and Roger Clark’s 4th placed Lotus Cortina, advancing Finnish Citroen driver Pauli Toivonen to a hollow win. 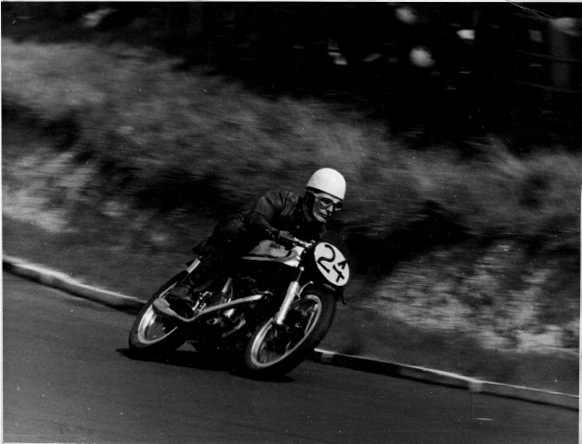 Rauno Aaltonen was born on January 7, 1938 his teenaged ‘need for speed’ initially satisfied competing in speedboats and later motor bikes on speedways, motocross and in road racing becoming the first Finn to win a TT event in 1956 at Hedemora, Sweden. 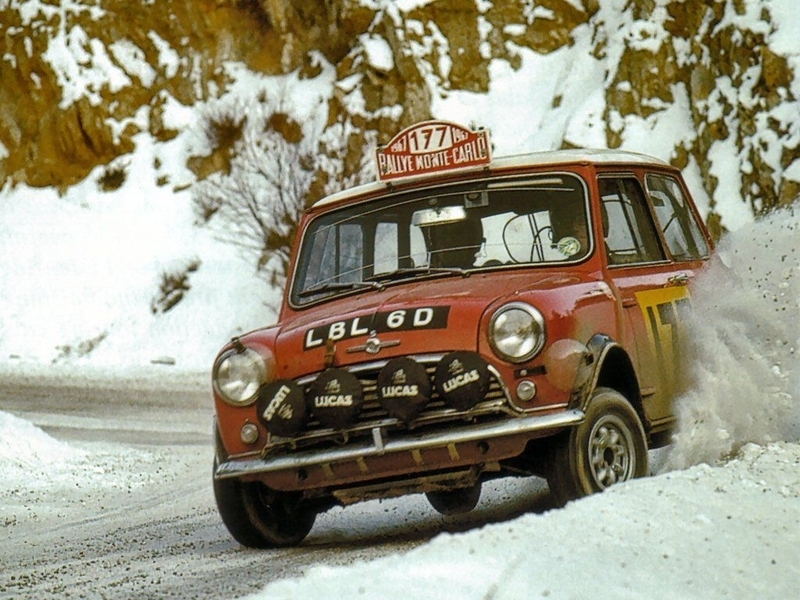 He started rallying at 18 after deciding that ‘bikes were a bit too hazardous after several racing accidents’ competing in both Mercedes Benz 170S sedan and Saab 93B, a ‘real rally car’. He competed in the World Rally Championship throughout the 1970s and was a factory driver for BMC, Ford, Lancia, BMW and Datsun over the decades. Prior to the WRC’s formation he won the European Rally Championship championship in 1965 and the Finnish Rally Championship in 1961 and 1965. 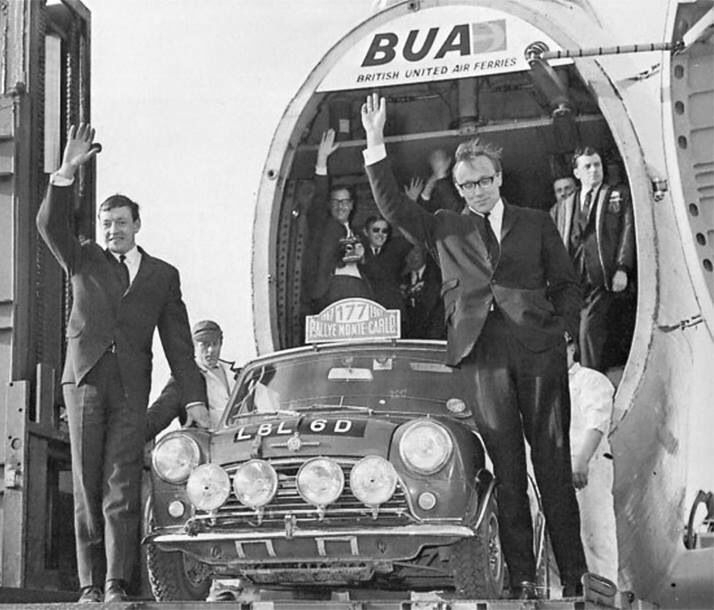 He was victorious in the following events; the ’61 Warsaw Rally and Rally of 1000 Lakes both in Mercedes 220SE, the 1964 Liege-Sofia-Liege in a Healey 3000 Britains’ RAC, the Polish, Munich-Vienna-Budapest and Czechoslovakian Rallies, all in 1965 in Minis. 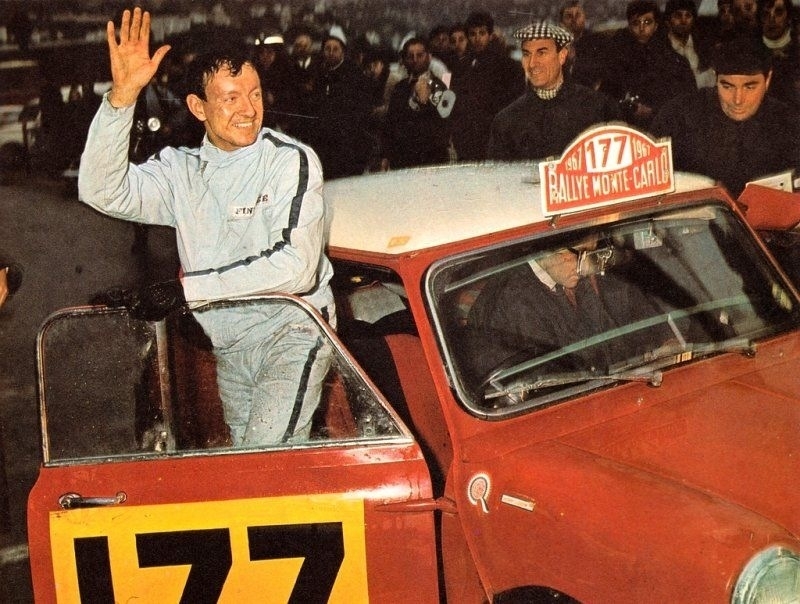 He won the 1966 Tulip, Vltava and Czechoslavakian Rallies, the Monte as described here in 1967 and Australia’s Southern Cross Rally in 1977 in a Datsun Violet 710. 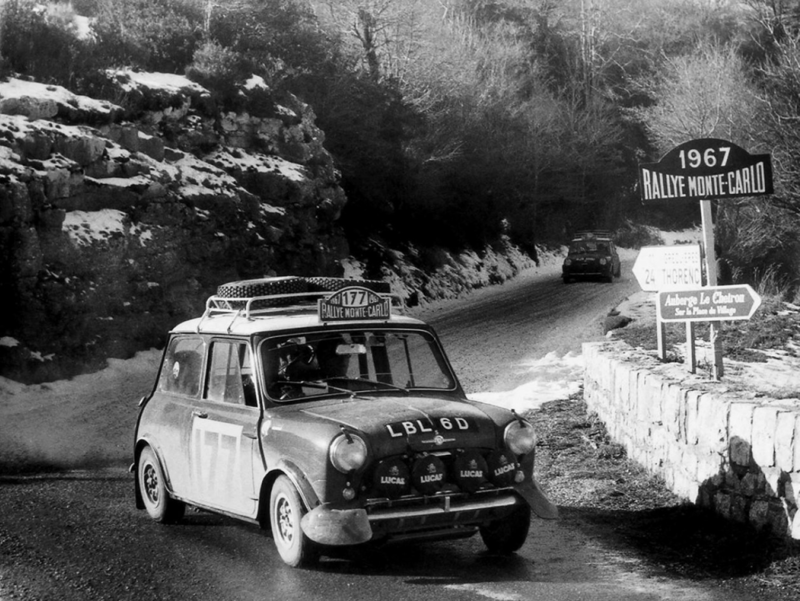 In circuit racing he contested the Spa 24 Hour in a BMW in 1958, the ’65 Sebring 12 Hour, Targa Florio and Le Mans 24 Hours in factory Austin Healey Sprites, also doing some of these enduro’s for BMC in 1966-68. In 1966 he partnered Bob Holden to a Bathurst 500 win in a Cooper S at Mount Panorama and in a nice bit of symmetry also raced the event in 1991 in a Toyota Corolla with Holden. ‘We arrived at the beginning of the last stage leading by 12 seconds. 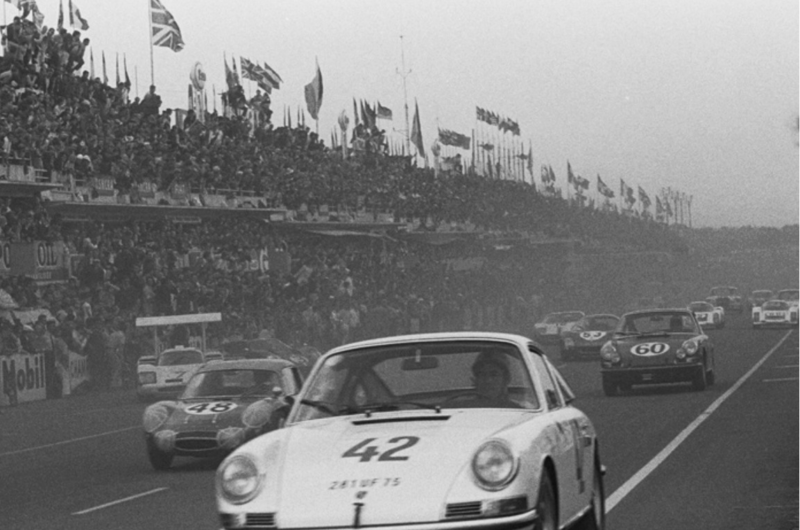 Vic Elford was second in a Porsche 911, but he was in front of the road, starting ahead. We listened to that six-cylinder, the feeling of power! He disappeared down the road. Today, the marshals cancel special stages for less serious incidents. Back then, the show just went on and the countdown resumed. What Aaltonen, and Liddon for that matter, didn’t know is that this joke would become reality in the most spectacular way. Any sane man would have done the same. Going down a cliff at the Col de Turini is something you simply don’t want to do even if they paid you a million dollars. He admits that they had no idea where they were going. The accident worked to Aaltonen’s advantage: ‘We won by five seconds. It was a huge shortcut. That was not skill, it was good luck’, he concedes. ‘I told my co-driver to shut-up his mouth and don’t tell anything.’ It’s something Aaltonen revealed only after 20 years. He qualified his Jordan EJ11 Honda very well in 5th, but a lapse of judgement on Sunday, he passed a red light whilst leaving the pitlane resulted in his disqualification, seems understandable in all the circumstances. I struggle a bit with ‘the age of adornment’ one of my sons has a ‘sleeve’ which is suboptimal as a parent but i must confess to finding little to complain about in the discretely placed butterfly in this particular case! Eddie Jordan really added a lot of ‘fizz’ to F1 in so many ways did he not!? This article is largely pictorial using as it’s base the phenomenal work of American Dave Friedman. He was a still photographer on movie sets after serving in World War 2. 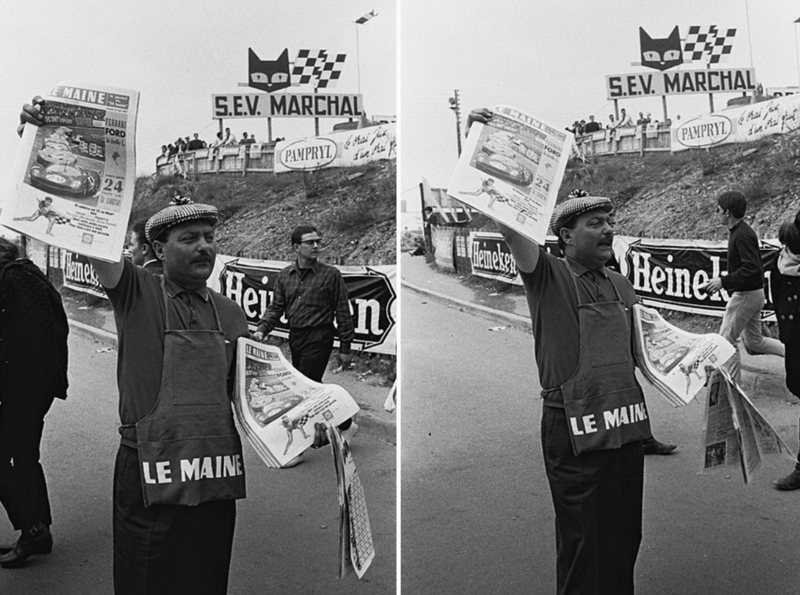 His passion was motor racing though, he was soon engaged by Ford and others to document their racing history. The photos I have chosen are from an archive of nearly 900 of this race alone! 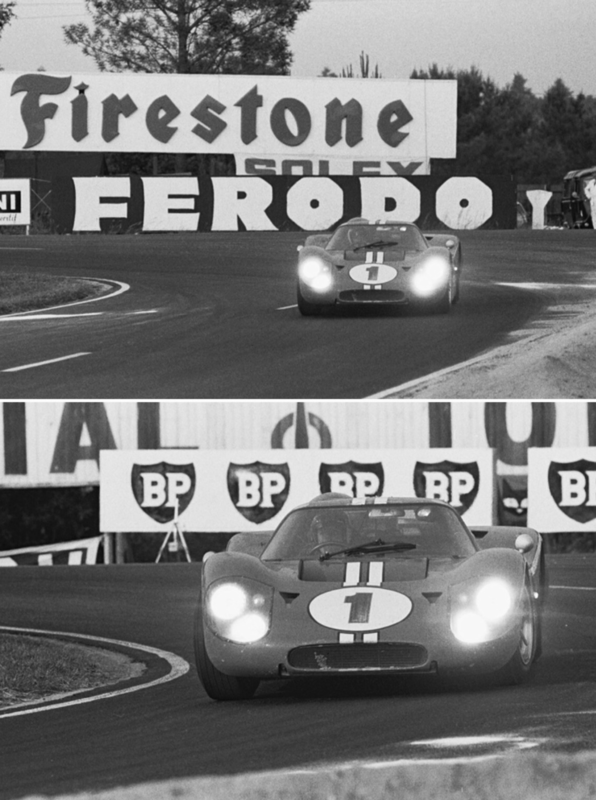 The race was famously won by Fords ‘All American Boys’ Dan Gurney and AJ Foyt, the latter adapting rather well to road racing given his oval background on both dirt and bitumen. The images are all monochrome and all the more evocative for it! 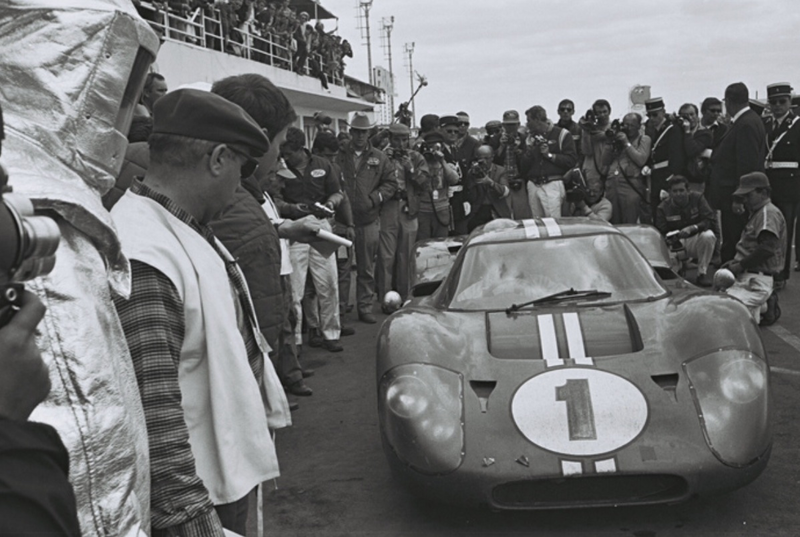 Ford won the 1966 Le Mans classic taking the 1st three placings after the failings of 1964 and 1965. In 1964 the GT40 was simply too new and lacked the necessary development, in 1965 cracked brake discs from unforeseen levels of heat were the problem which eliminated most of the 7 litre Mk2’s. For 1967 FoMoCo entered 4 new, fabulous 7 litre Mk4’s, 2 prepared by Holman & Moody and 2 by Shelby-American. They also fielded Mk2’s designated Mk2B’s, these beasts also powered by the same 530bhp V8’s as the Mk4. Business end and cockpit of the Hulme/Ruby Ford Mk4 chassis ‘J8’. Aluminium honeycomb chassis, Ford 7 litre OHV cast iron V8 fed by 2 4 barrel Holley carbs. Circa 530bhp. Suspension; single top link, inverted lower wishbone, 2 radius rods, coil spring/damper unit, cast magnesium upright, adjustable roll bar. Ford Kar Kraft T44 4 speed transaxle. Ferrari entered 4 litre cars; 3 new P4’s and a P3/4, these cars powered by the latest 450bhp 36 valve, fuel injected V12. 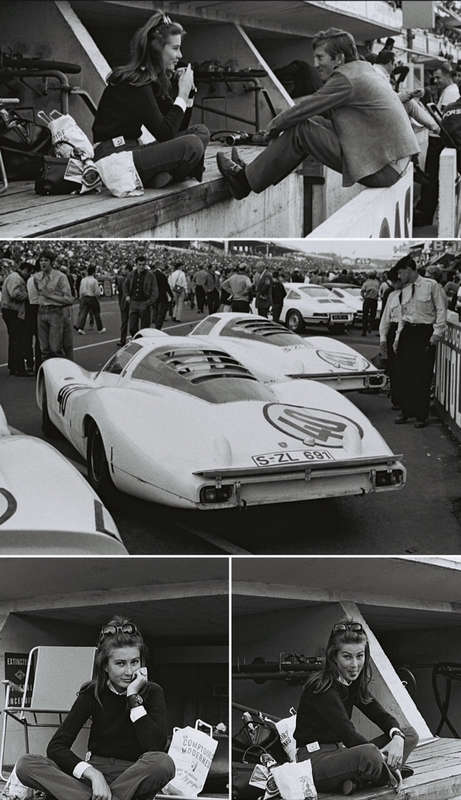 Two Chaparral 2F’s were entered, despite 7 litres of Chev V8 they were lighter than the P4’s. The P4 weighed in at circa 2200lb, the 2F 1980lb, the Mark4 2200lb and the Mk2B, without the benefit of the lighter honeycomb construction of its newer sibling, was about 2500lb. 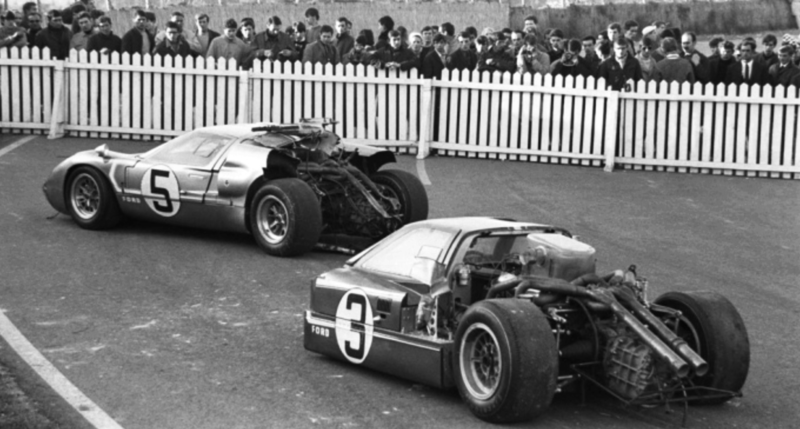 The 2 Lola T70 Aston Martin’s tipped the scales at 2320lb, the Aston 5 litre V8’s fuel injected since the April pre-race Le Mans trials at which they had been very fast. Lola T70 Mk3 Aston Martins’ a big disappointment. 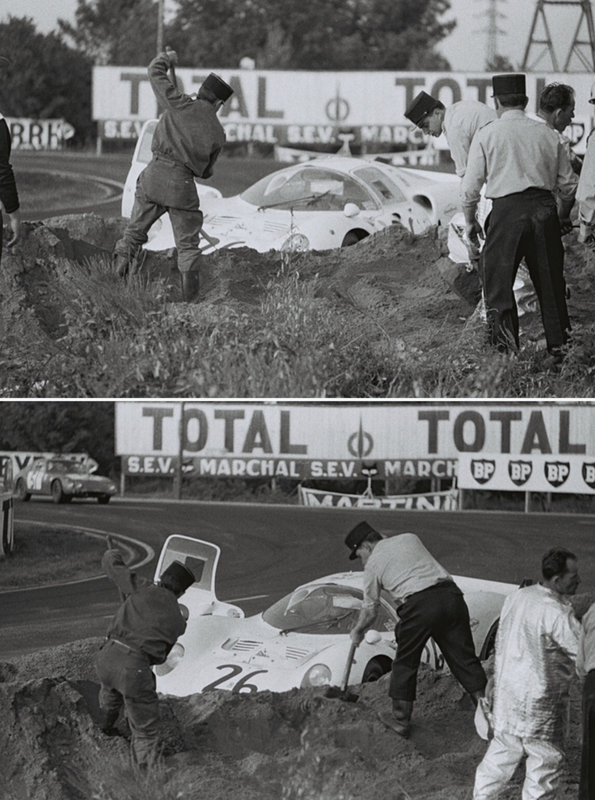 #11 John Surtees/David Hobbs car engine shat itself on lap 3 with piston failure , #12 Chris Irwin/Peter de Clerk lasted till lap 25 also withdrawing with engine failure. In the 2 litre class the Porsches’, always outright contenders such was their speed and reliability, would do battle with the Matra BRM’s. 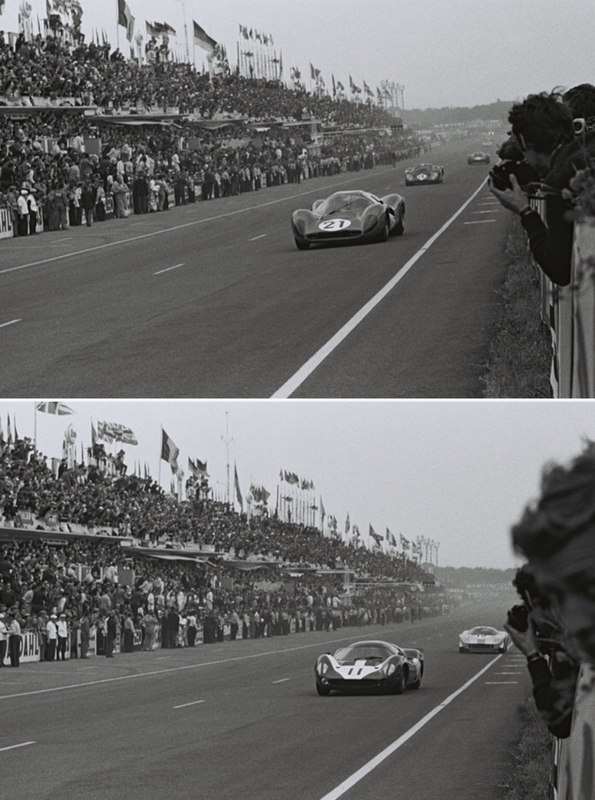 Ferrari chose not to race their Dino’s focusing on the ‘main game’ and Alfa withdrew their T33’s as not being not sufficiently ready for the rigors of la Sarthe. Jochen Rindt with the lovely Nina Lincoln, Finnish fashion model and daughter of racer Curt Lincoln, he married her in ’67. Jochen raced Porsche 907 #40, (above) he and Masten Gregory famously won the race in a Ferrari 250LM when the factory Ford GT40 Mk2’s and Ferrari P2’s failed in 1965. 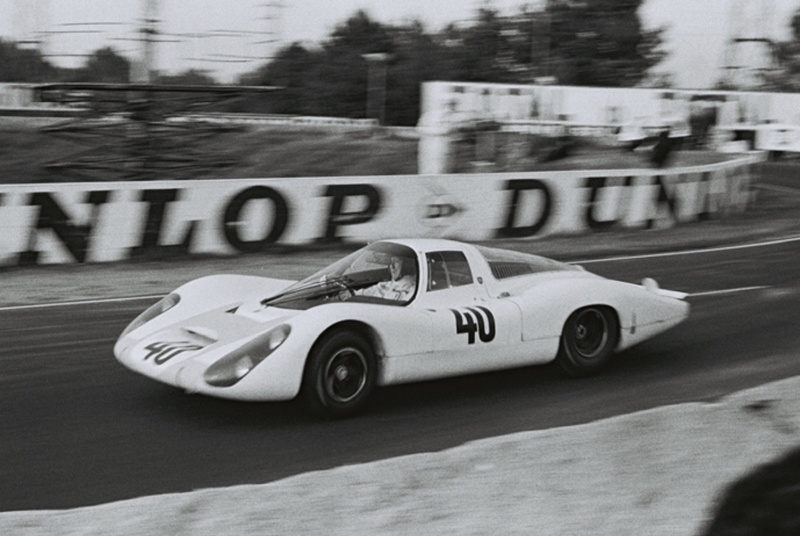 The other Porsche #41 is the 5th placed, 2 litre class winning 907 of Jo Siffert/Hans Hermann. 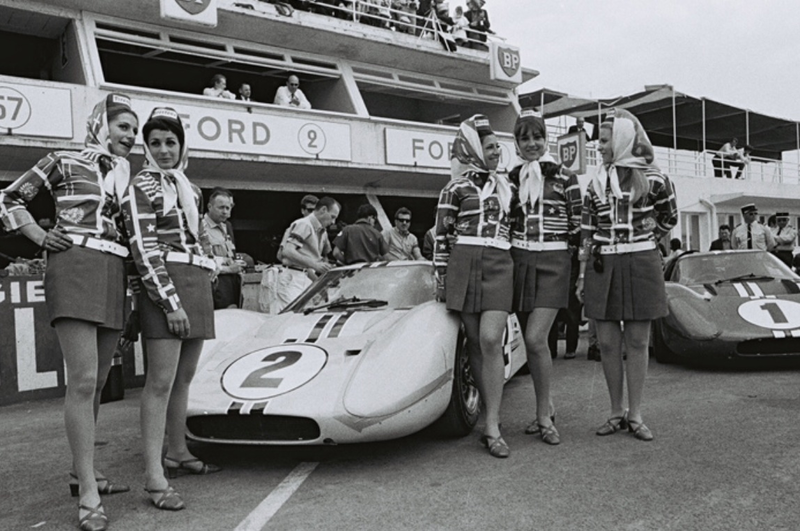 #2 McLaren/Mark Donohue 4th and #1 Gurney/Foyt 1st Ford Mk4’s with friends before the start. Ford had windscreen troubles in practice but this was remedied with a fresh batch of correctly tempered screens which arrived pre-race. 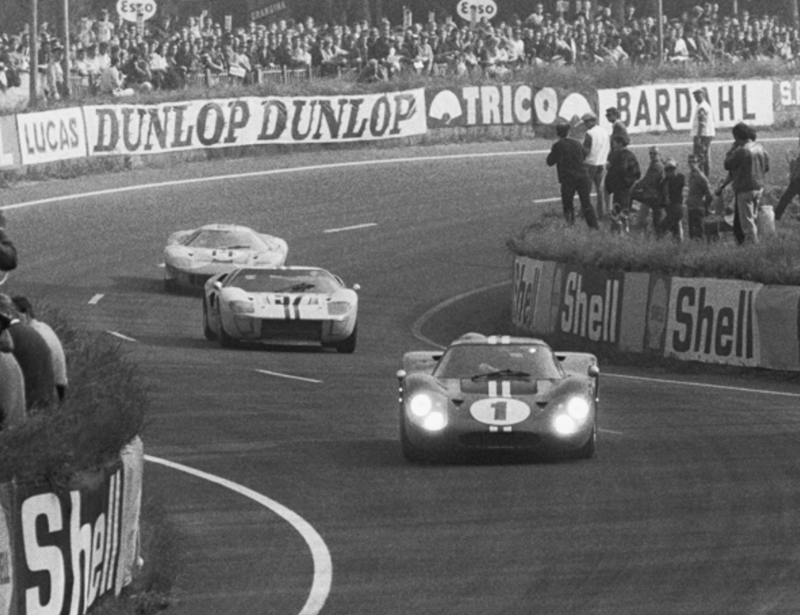 As if to assert Ford’s authority Bruce McLaren took a Mk4 out and lapped at 3.24.4, an average of 147.316 mph and topped 215mph on the Mulsanne, in the dark. It gave him pole, McLaren was Ford’s victor in 1966 in a GT40 Mk2 he drove with fellow Kiwi Chris Amon. Bruce McLaren jumps out of his Ford Mk4 ‘J5’ during practice. Bruce the pole sitter in this car. 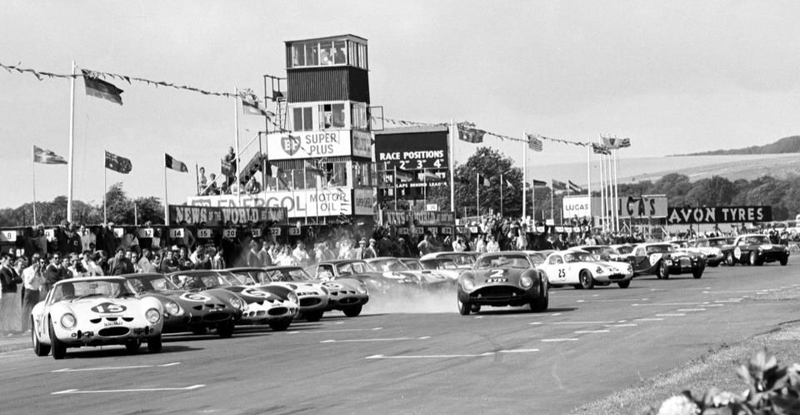 Dan Gurney is the bolter at the start in #1, #2 McLaren Mk4, #7 Chap Spence putting on his full harness, alongside him #3 Andretti and #4 Hulme both in Mk4’s doing the same. A second or so later; Spence, Andretti and Hulme still ‘belting up’ whilst #62 Mike Salmon DNF fire and #11 Surtees Lola Aston, #23 Attwood Ferrari P3 and #21 Scarfiotti Ferrari P4 come thru. Love this start shot as it gives a sense of the depth of the field but also the speed differentials for which Le Mans is infamous; #42 Robert Buchet/Herbert Linge 14th Porsche 911S 2 litre, #48 Roger Delageneste/Jacques Cheinisse 10thAlpine A210 Renault 1.6 litre, #60 Andre Wicky/Philippe Farjon DNF Porsche 911S and the rest…Mike Spence just away in the winged Chap 2F at far left. After the traditional start Pedro Rodriguez led initially in the NART Ferrari but was quickly passed by the Paul Hawkins Mk2B, who led at the end of the first hour by which time both Lola’s were out; Surtees with engine trouble after 3 laps, Chris Irwin on lap 25 later with fuel pump problems. After the first pitstop the Chaparral 2F took the lead, the Fords getting about an hour out of a fuel tank, the Fazz’ and Chaparral about 15 minutes longer. After the second refuelling the Gurney/Foyt Mk4 lead from the Hill/Spence Chaparral followed by the Andretti/Bianchi and McLaren/Donohue Ford Mk4’s. Oopsie; Ricardo Rodriguez (no relation) in the ‘kitty litter’ on Lap 30, the NART Ferrari 365P2 retired at this point. Car shared with Chuck Parsons. 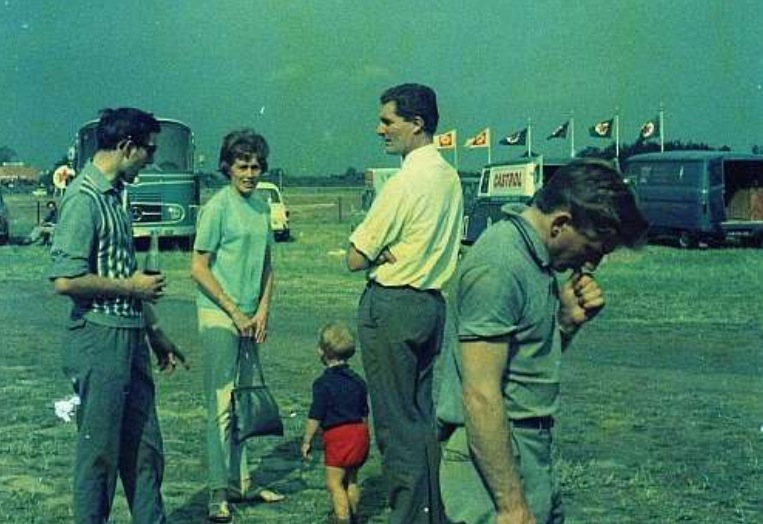 In the background in the lower photo is the works Austin Healey Sprite of Clive Baker/Andrew Hedges which finished 15th, first British car home. The ill-fated Andretti/Bianchi Mk4 ahead of Chris Amon/Nino Vaccarella Ferrari P4 DNF puncture/fire and Denny Hulme/Lloyd Ruby Mk4 DNF accident, in The Esses in the first quarter of the race. ‘British Racing and Sports Car Club’ fireman in the latest gear. After 4 hours the Gurney car was still ahead, this time from the Andretti Ford. 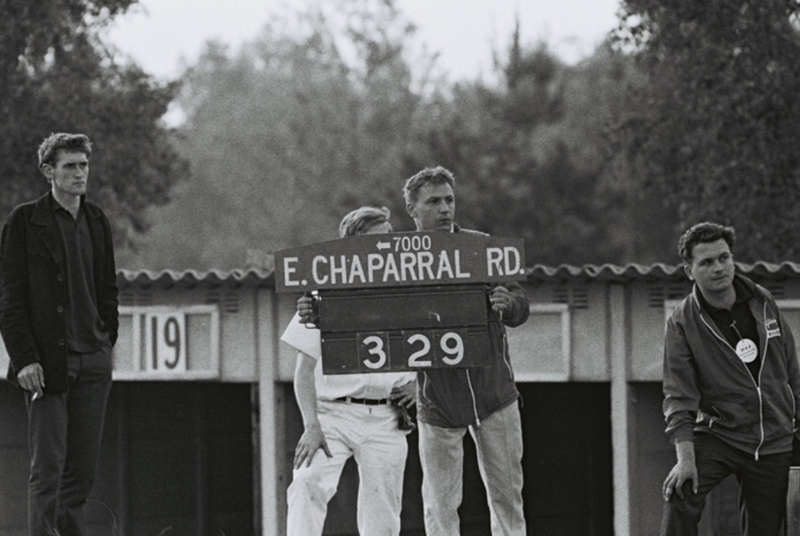 3 Fords led from the Chaparral, with Ferrari further back, the leading Ferrari’s driven by Amon/Vaccarella P4 and Rodriguez/Baghetti, P3/412P. The #8 Bruce Jennings/Bob Johnston Chaparral 2F in the pits for its final pitstop on lap 91, car out with battery and starter failure. 2 P4’s, the white car the NART P Rodriguez/Baghetti P4/412P entry chasing the Jennings/Johnston Chaparral 2F and a 911S about to be ‘swallowed’ by all 3. 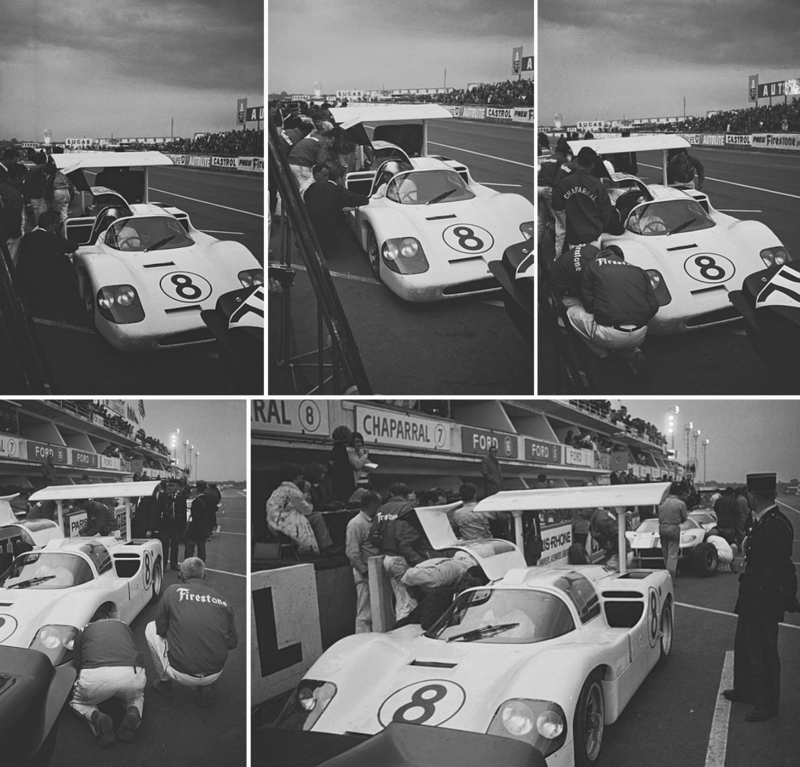 After 6 hours the 2nd #8 Chaparral failed to restart after a pitstop, Hill pitted at about the same time in the #7 Chap with the transmission, the cars weak link checked leading to speculation about its health. The stop lasted 9 minutes, the car rejoined in 7th place. Rindt (below) retired his Porsche 907, having over-revved its 2 litre flat 8. 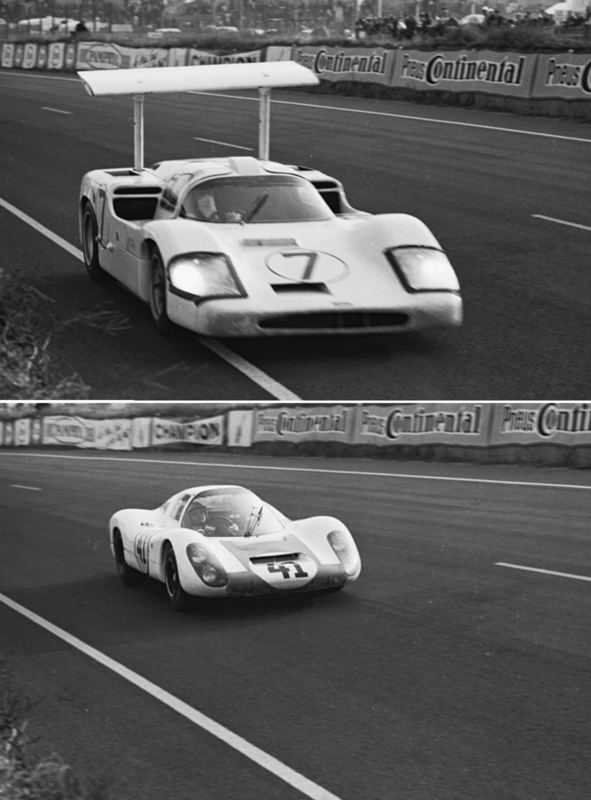 The #7 Chaparral 2F Chev of Spence and 5th placed Porsche 907 ‘Langheck’ of Siffert/Hans Hermann with Jo at the wheel. Car also the 2 litre winner. At 2 am it was still 1-3 for Ford but the pattern of the race changed hugely after Andretti took over his car from Bianchi, it was fitted with fresh brake pads. As he approached The Esses and braked 1 disc grabbed, pinging the car instantly between the unforgiving earth banks until finishing in the middle of the track with bits of ‘Big Henry’ scattered all over the place. Roger McCluskey arrived in the Mk2B he shared with Frank Gardner, braked, spun and hit the banks wrecking another factory Ford. Schlesser then added to the party arriving in the Ford France Mk2B he shared with Guy Ligier and spun in avoiding his teammates; 3 Fords were out on the spot! The winning Mk4 of Gurney/Foyt ahead of #57 Ronnie Bucknum/Paul Hawkins Mk2B DNF and #14 Mirage M1 Ford of David Piper/Richard Thompson,DNF . AJ Foyt aboard the winning Ford Mk4 chassis ‘J6’. 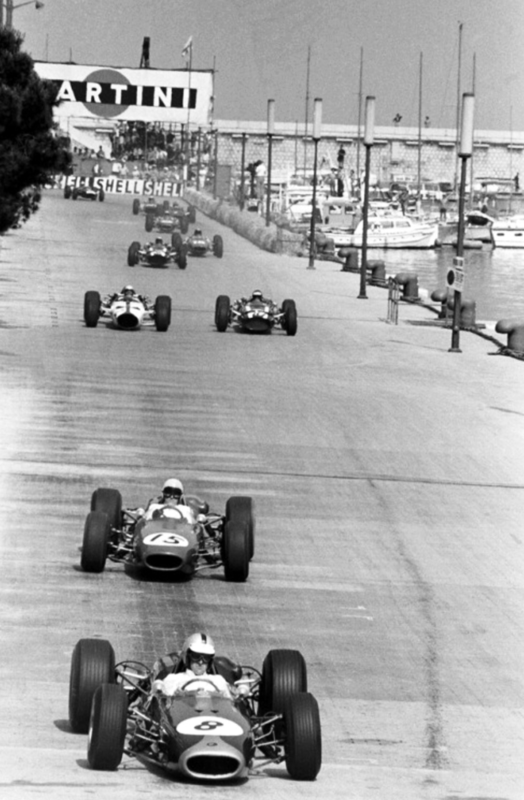 At half distance the Gurney/Foyt Mk4 had a huge lead but there were then 3 Ferrari’s and a Chaparral between Gurney and the next Ford. 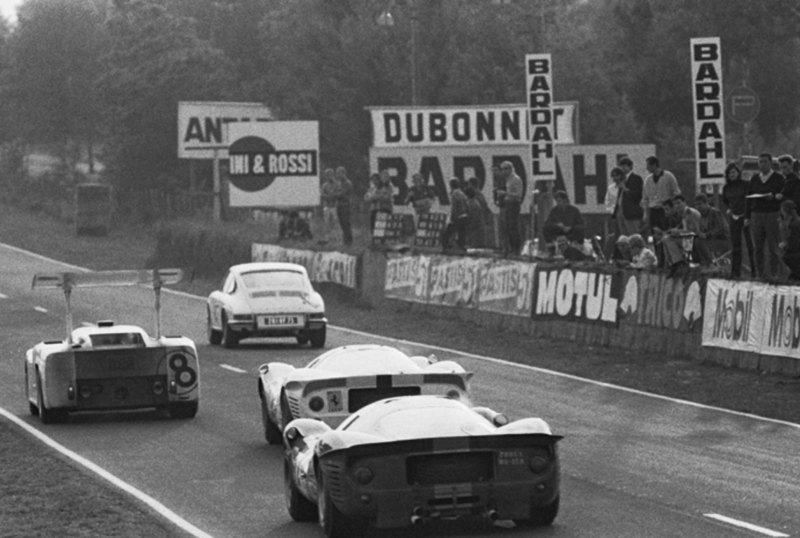 At dawn it was Gurney/Foyt 7 laps ahead of the Parkes/Scarfiotti Ferrari, the Hill/Spence Chaparral then Ferrari-Ford-Ferrari, it was anybody’s race at this point. At 5.30am Hill’s Chaparral pitted for investigation of an oil leak; and stayed for 3 hours whilst the mechanics heroically removed the transmission and fitted a new oil seal but the car was finally retired with an oil-less transmission. Chaparral council of war in the middle of the night. 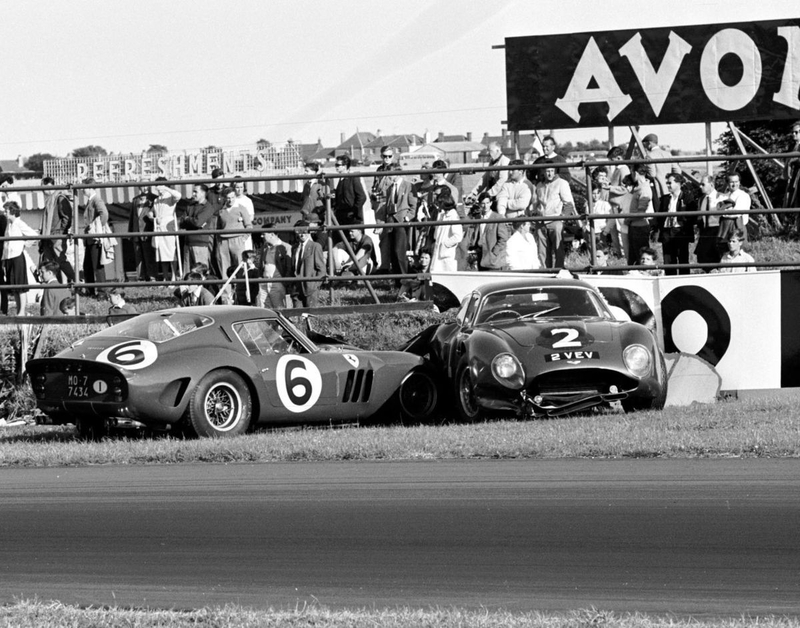 Jim Hall , Phil Hill and Mike Spence curse the cars auto gearbox, its weakness that year. 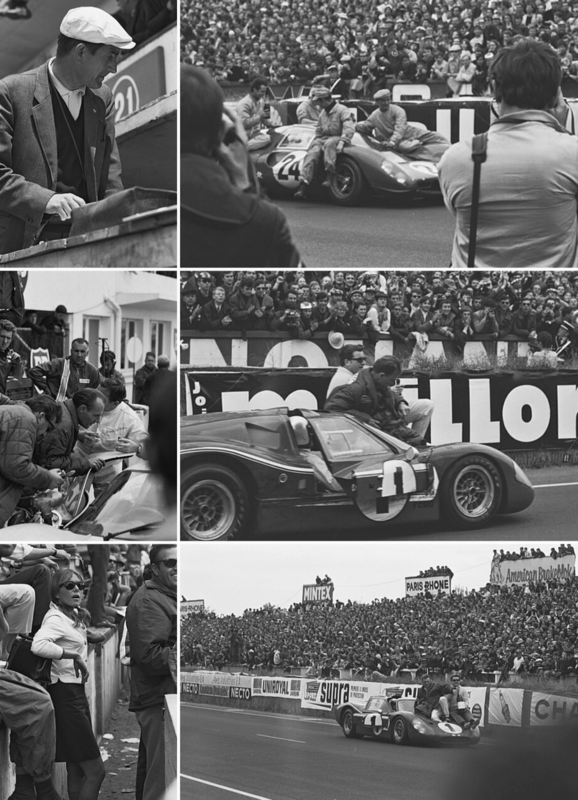 The one bright spot for the fastest, most innovative and stunning sports/prototype of 1967 was its season ending Brands Hatch 6 Hour victory in July. 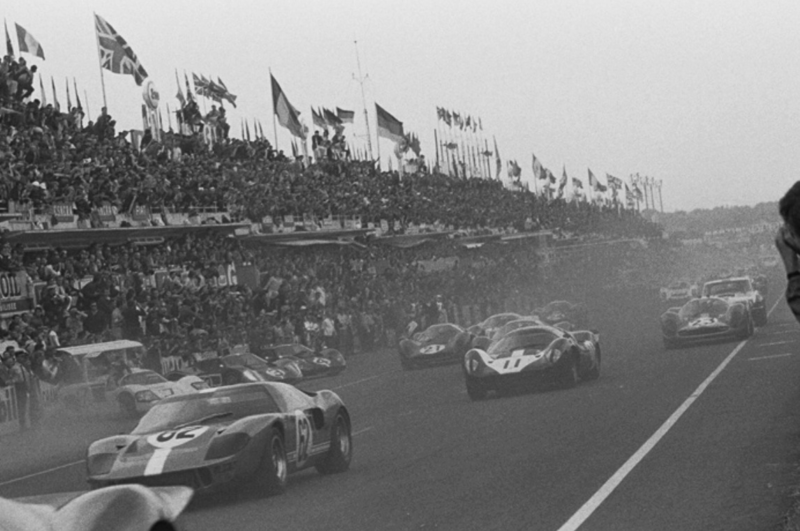 With 6 hours to go the Gurney/Foyt Ford only lead by 5 laps! But it was 1 Ford from 3 Ferrari’s with the Italian cars being driven very hard, Mike Parkes said ‘I have never driven a car so hard for so long’ of his Ferrari P4 after the race. What am i going to tell The Commendatore!? Franco Lini, Ferrari Team Manager ponders the teams prospects late in the race. It was an honorable defeat, to say the least, against the onslaught of the then second largest motor manufacturer in the world. 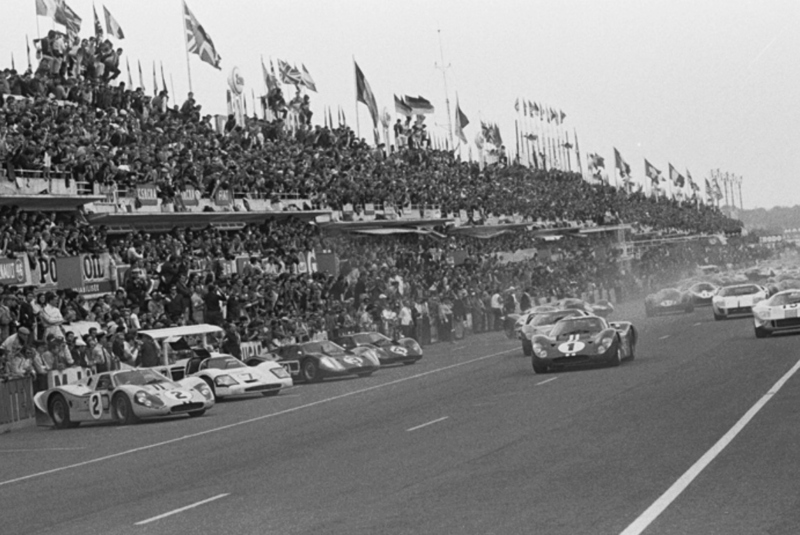 Car #24 the 3rd place Willy Mairesse/Jean Blaton Ferrari P4 and winning #1 Mk4, ‘victory lap’. 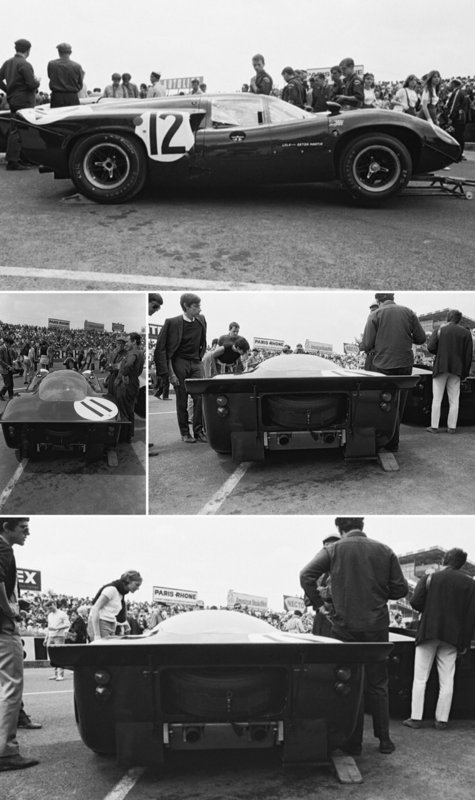 Small shots; Franco Lini, Bruce McLaren Mk4 pit, ‘pit popsie’. Winners are Grinners… the winning Ford covered a record distance and was pushed hard all the way. Dan Gurney (L) and AJ Foyt. Mike Parkes (L) and Ludovico Scarfiotti looking suitably tired after fantastic drives in pursuit of the Ford Juggernaut! Henry Ford 2 and his wife Maria look well pleased with the results of their teams work. Its interesting to reflect on how different automotive/motor racing history may have been had Enzo Ferrari not withdrawn from the final stage of negotiations for the ‘Boys from Dearborn’ to buy his Maranello outfit in July 1963. Whatever the case, motor racing had a friend in Henry Ford 2. 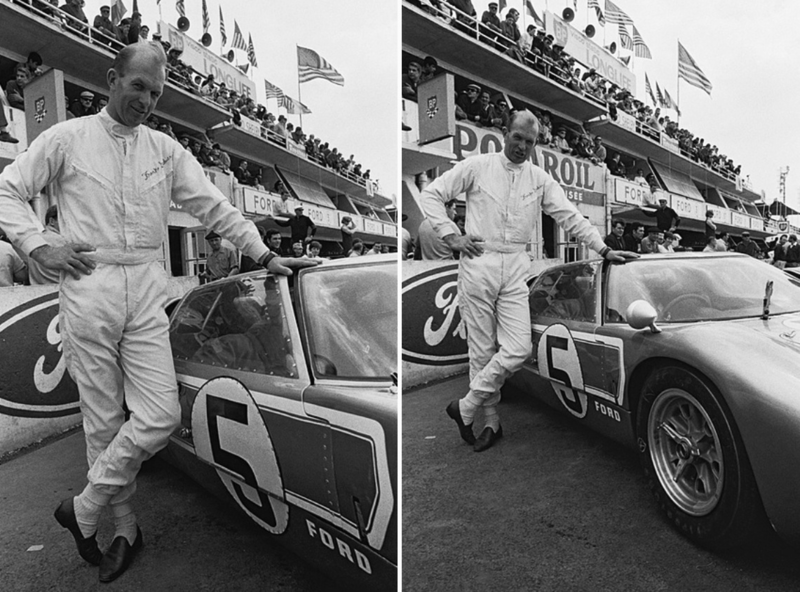 Without his patronage and support of racing to build Ford’s global brand we would not have had many of Ford’s programs which enriched racing during his tenure of either direct or indirect control of FoMoCo. Posted: September 22, 2015 in Sports Racers, Who,What,Where & When...? ‘2 VEV’ chassis # 0183/R was registered to John Ogier’s ‘Essex Wire Racing Team’ on 19 May 1961, the famous car was raced by Aussies Lex Davison and Bib Stillwell at Le Mans in 1961 alongside ‘1VEV’ driven by Jack Fairman and Bernard Consten. 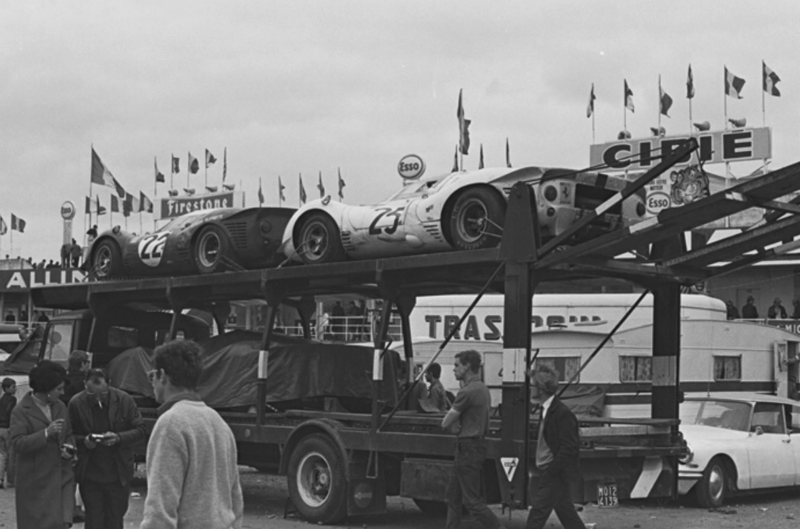 The cars had factory support but the race was a disaster with both failing to finish due to head studs which had been insufficiently ‘torqued’, they had run as high as 15th and 17th behind the open Aston DBR1’s. 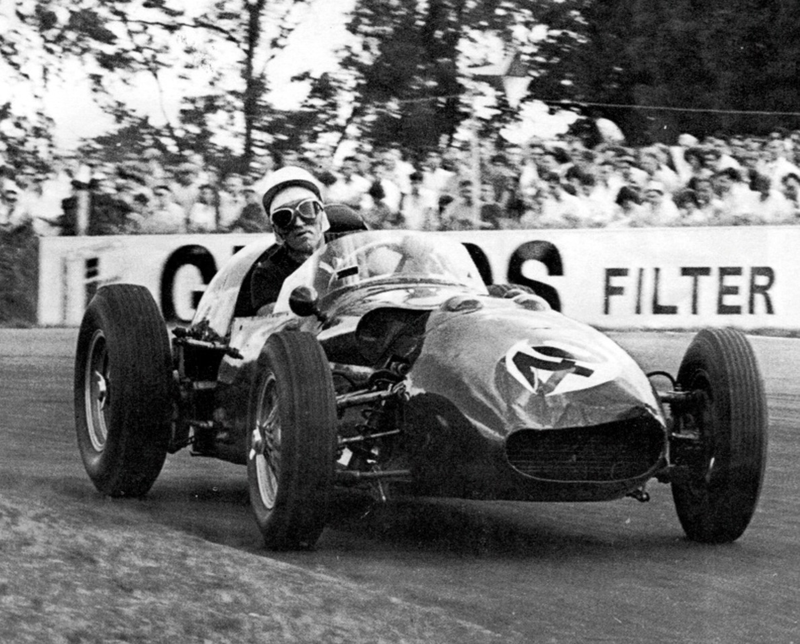 Both Davison and Stillwell, Australian multiple champions both, had immaculate Aston Martin connections, they raced GP Aston DBR4’s in Australia, Lex came within feet of winning the 1960 AGP in his at Lowood, Queensland, being pipped on the line by Alec Mildren’s Cooper T51 Maserati after a thrilling race long dice…the closest any of these wonderful but outdated cars came to a GP win. 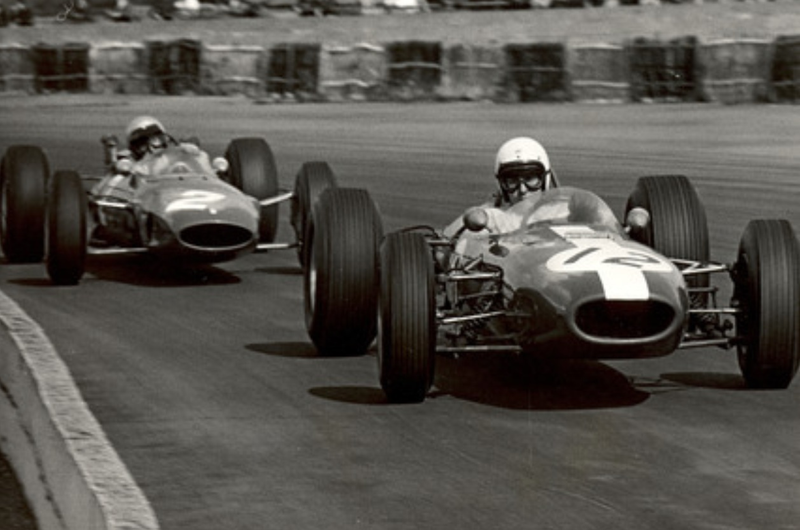 Lex also contested a few ‘Intercontinental’ races in the DBR4 for old 2.5 litre F1 cars in the UK in 1961. 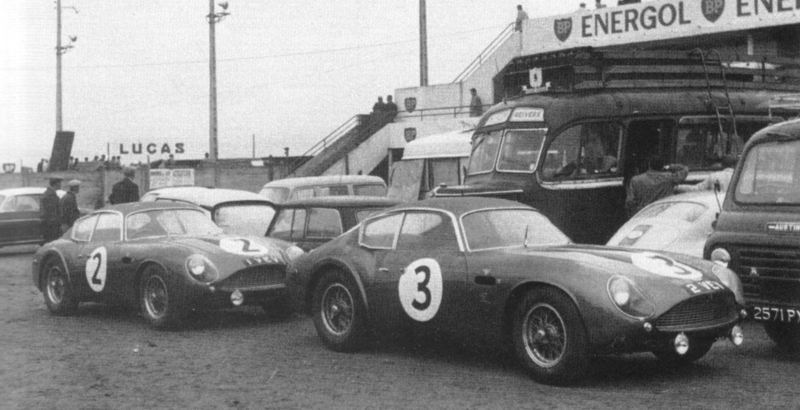 Back in the Zagato, Lex Davison contested the 51 Mile GT Race at Aintree in July, winning the race after a battle with Jack Sears Jag E Type. 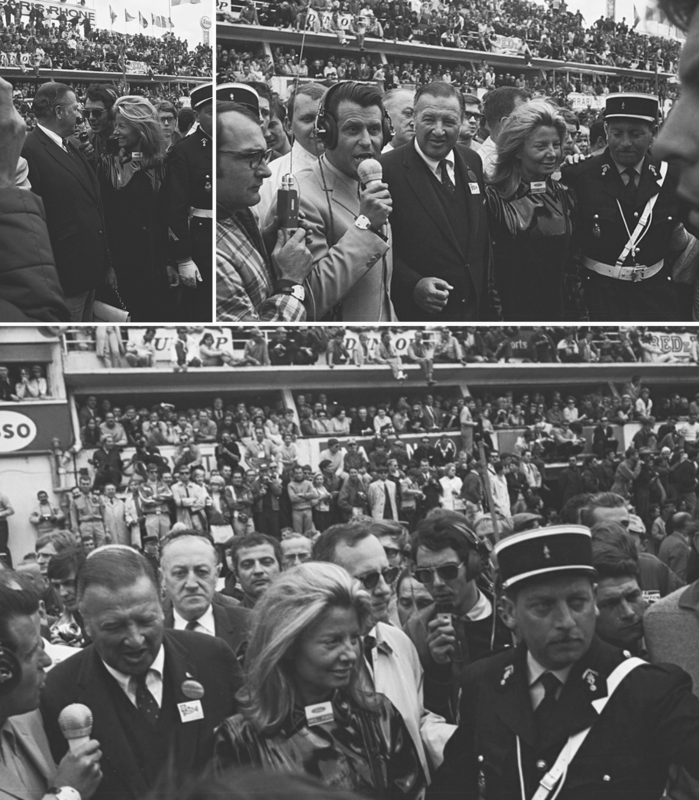 He took the lead on the last lap and recorded the cars only race win ‘in period’. ‘Motor’ magazine reported that Davison ‘looked like the prosperous middle aged businessman that he is, rather than a dashing man about town’. In fact he was a champion middle aged racing driver…bloody poms, a four times winner of the Australian Grand Prix no less! 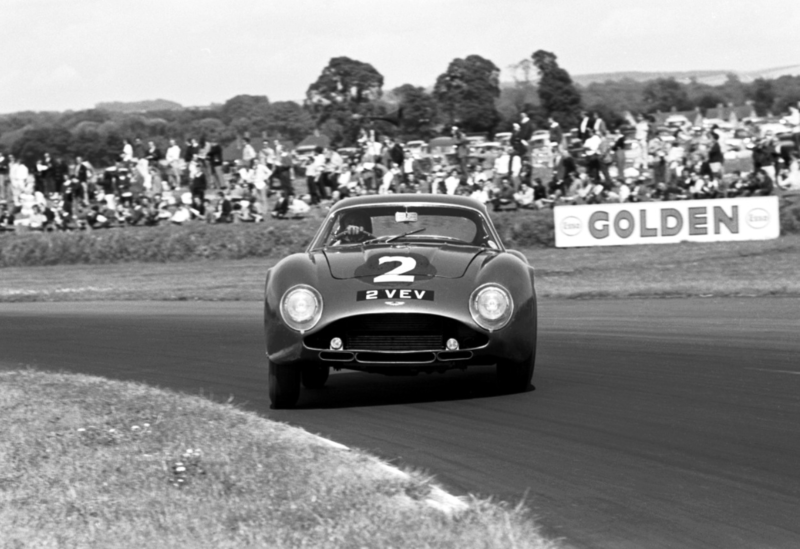 Jim Clark contested the 1961 TT at Goodwood in August, but the Ferrari 250’s were too quick, Salvadori and Clark taking 3rd and 4th respectively in ‘VEV1 and 2’. ‘2 VEV’ was lent to Equipe National Belge to race in the 1962 GP of Spa for GT cars. 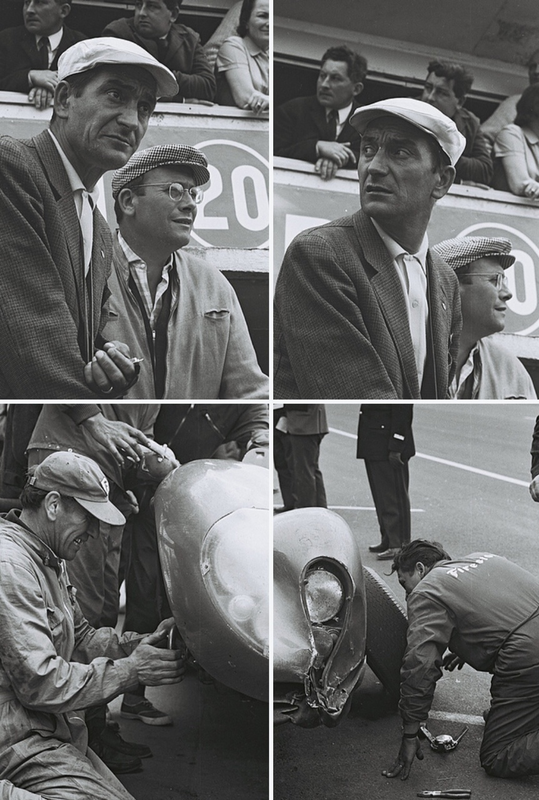 Lucien Bianchi led the race before losing the car and ‘totalling it’. 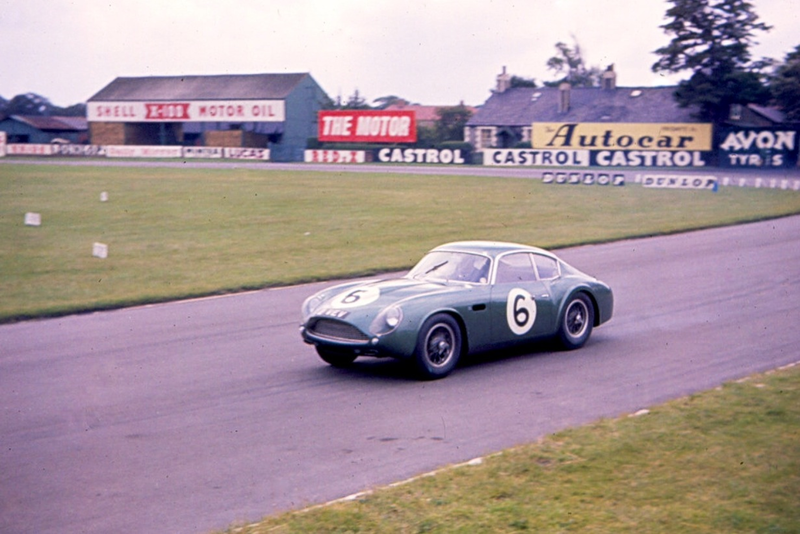 In 5 weeks the car was rebuilt by the factory around a new chassis the car featuring a lower, flatter roofline, longer nose and tail and wider rear wheel arches than a standard DB4Z. Clark raced the car at the Goodwood TT in 1962 and was running 4th, he spun inexplicably whilst being lapped by Surtees, taking then both out and requiring more works surgery to ‘2VEV’. The car raced again in Clark’s hands in the Paris 1000km, but failed whilst driven by John Whitmore. The Aston Martin DB4 GTZ was introduced in October 1960 at the London Motor Show. It was effectively a DB4 GT improved by Zagato in Italy, Ercole Spada is the designer credited with the work. It was smaller, more aerodynamic and lighter than the DB4GT. 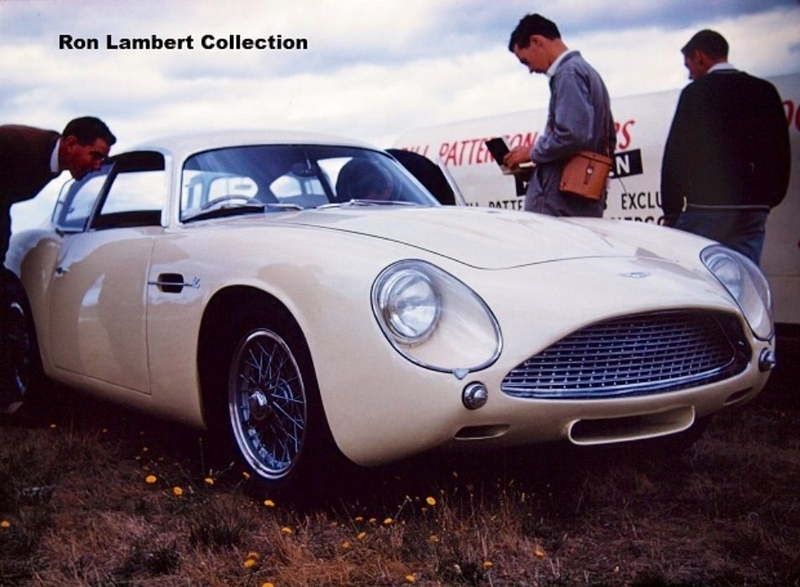 The Zagato’s engine produced 314 bhp 12 more than the DB4GT giving it a top speed of 154 mph. Initially the factory planned to build 25 cars, but demand wasn’t strong, only 19 cars were built, although 23 chassis numbers were allocated. 4 modern ‘Sanction 2 Coupes’ were built on DB4 rolling chassis by Zagato in a project sanctioned by the factory in 1987 and completed in 1991. 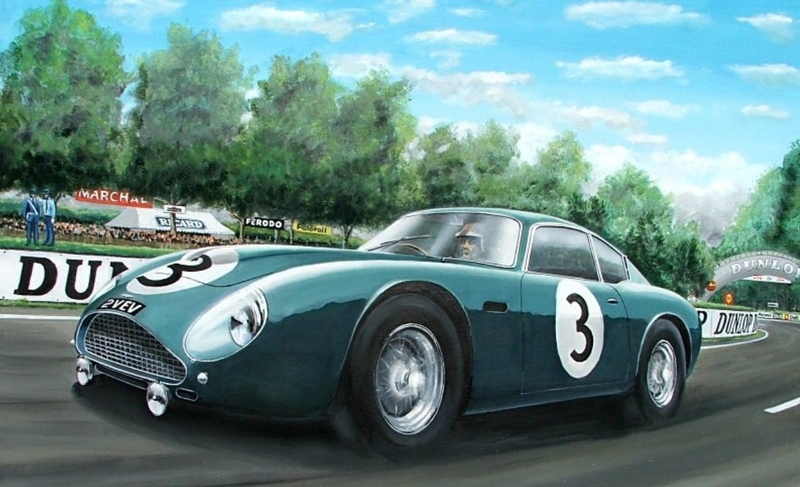 The first competition outing of a DB4 GT Zagato was during the Goodwood Easter meeting in 1961. 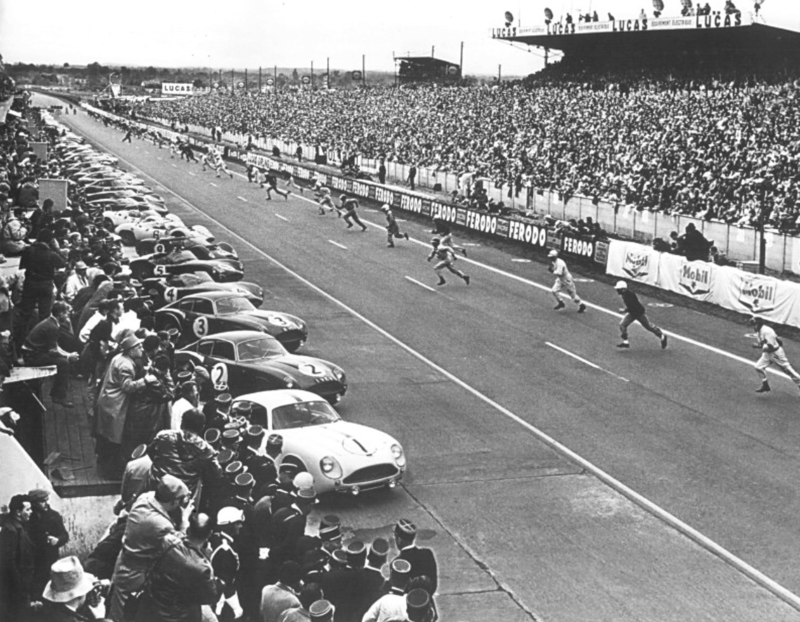 Driven by Stirling Moss the car finished 3rd behind an Aston Martin DB4GT and the winning Ferrari 250 GT. 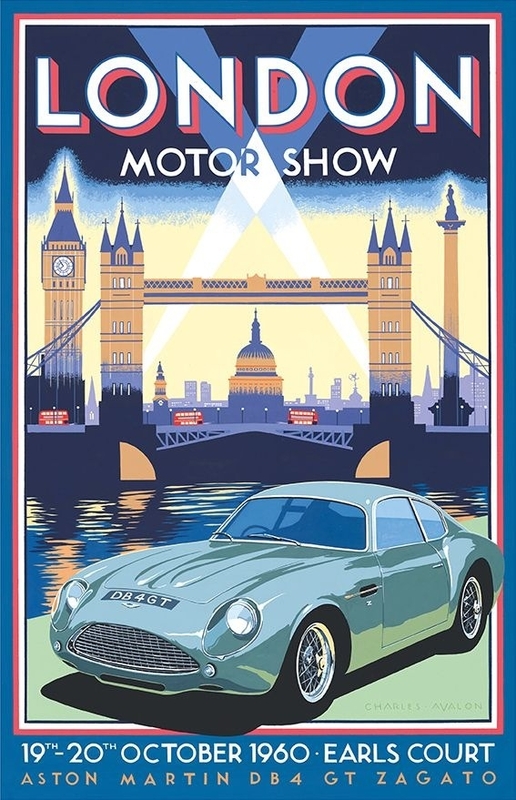 1960 London Motor Show launch for the DB4GT Zagato. 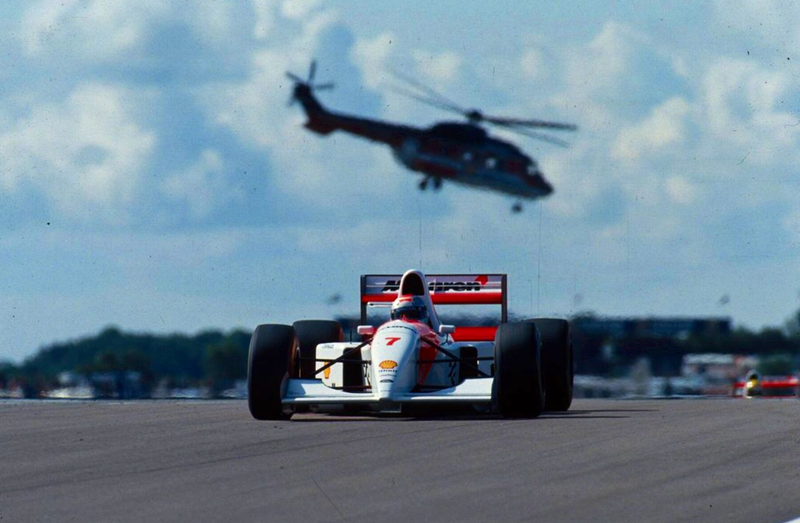 Michael was in and out of Grand Prix racing far too quickly, in less than a season. His 1993 run of woe was made worse at Silverstone, he qualified back in the pack, rain ruined his qualifying run and then spun on the first lap, ending his race, he was going too hard too early. Teammate Ayron Senna qualified 4th and lost 3rd when his car failed on the last lap, he was classified 4th. The race win was taken by Alain Prost in a Williams FW15C Renault. Posted: September 20, 2015 in Sports Racers, Who,What,Where & When...? Anderson was born in Hendon, North London to a well-to-do family on 19 May 1931. He made his name in the 1950s as a motorcycle racer, by 1959 he was a front running competitor in the 350cc World Championship against the stars of the day including John Surtees, Mike Hailwood and Geoff Duke. He nearly won the 1958 Swedish GP, finishing inches behind Duke but he never came so close to GP victory again. 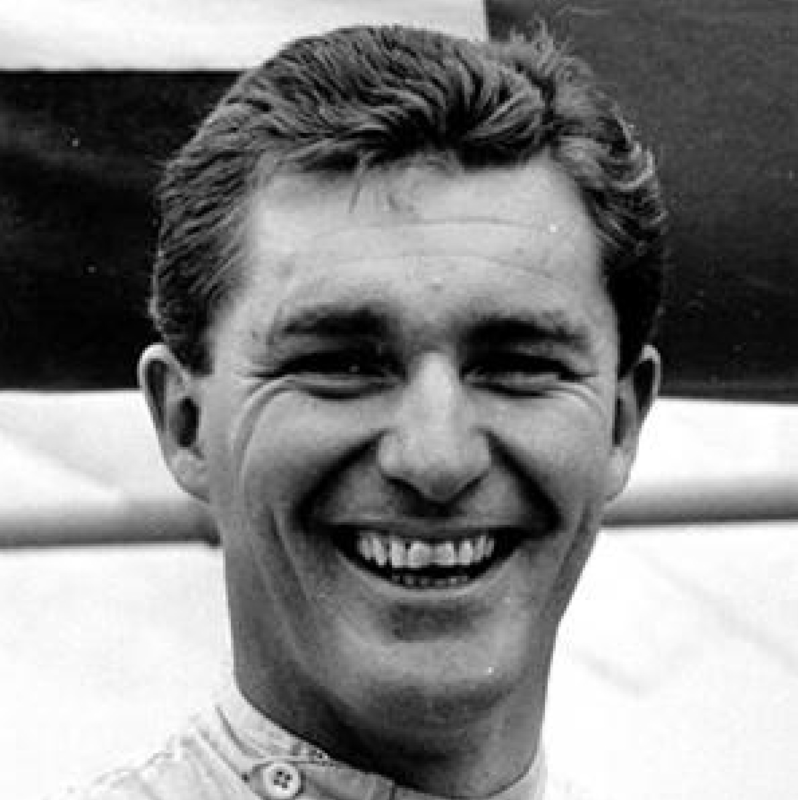 He switched to car racing aged 30 in 1961. 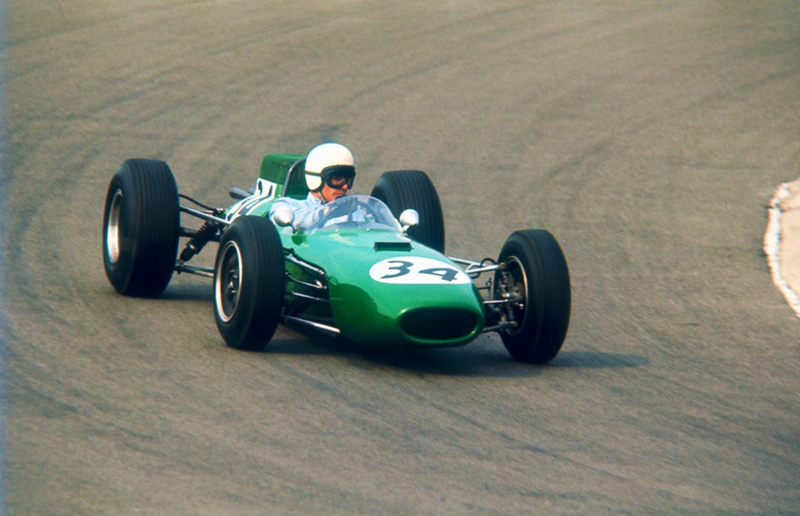 Anderson raced a Jim Russell Lola Mk2 Ford in some early season UK Formula Junior races before doing some events in Europe in a Lotus 20 Ford entered by Henry Taylor. 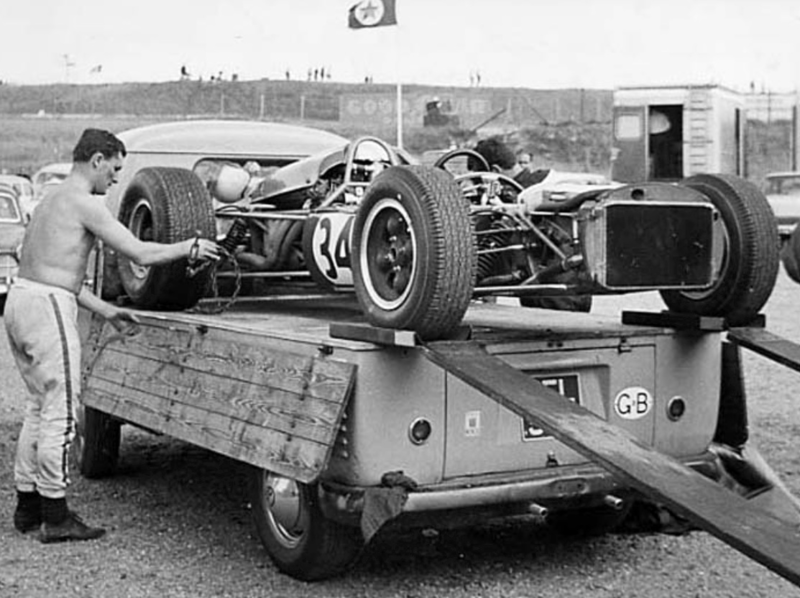 His results weren’t sensational but he moved to Lotus’ factory FJ team in 1962. His best result that year was a second place in the 1962 Coupe de Salon at Monthlery behind teammate Peter Arundell, both in Lotus 22 Fords. 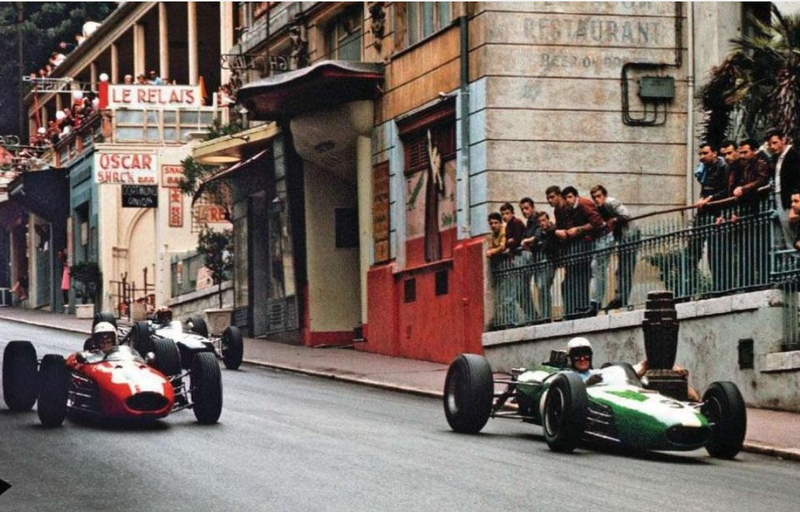 He was also third in the 1962 Monaco FJ event also Lotus 22 Ford mounted, the race again won by Arundell. It was a first class result, on the grid that year were Mike Spence, Jo Schlesser, Alan Rees, Richard Attwood, Frank Gardner and John Love amongst dozens of other hopefuls! 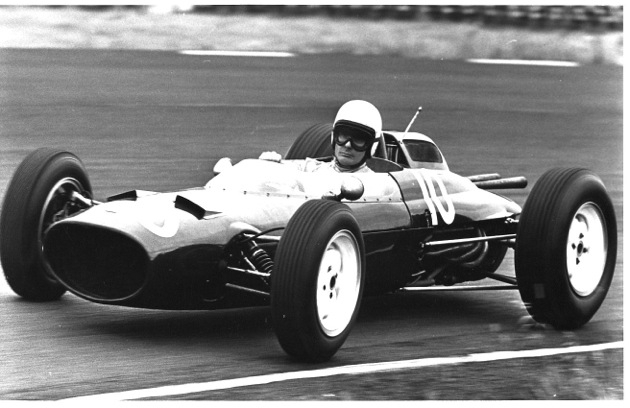 Arundell pretty much won everything in FJ that year, rocketing into a Team Lotus, ’25’ GP car in 1963. 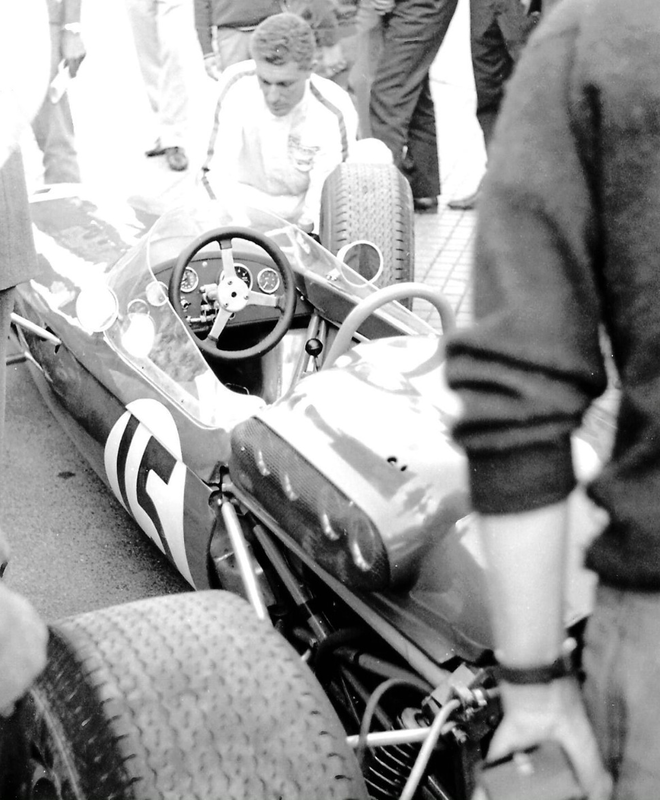 Anderson felt it was time to progess, at the start of 1963 Bob he acquired an ex-Bowmaker Team F1 Lola Mk4 Climax. He began racing as a Formula 1 privateer ‘DW Racing Enterprises’, based at Haynes, Bedfordshire comprised Bob and his French wife Marie-Edmee! 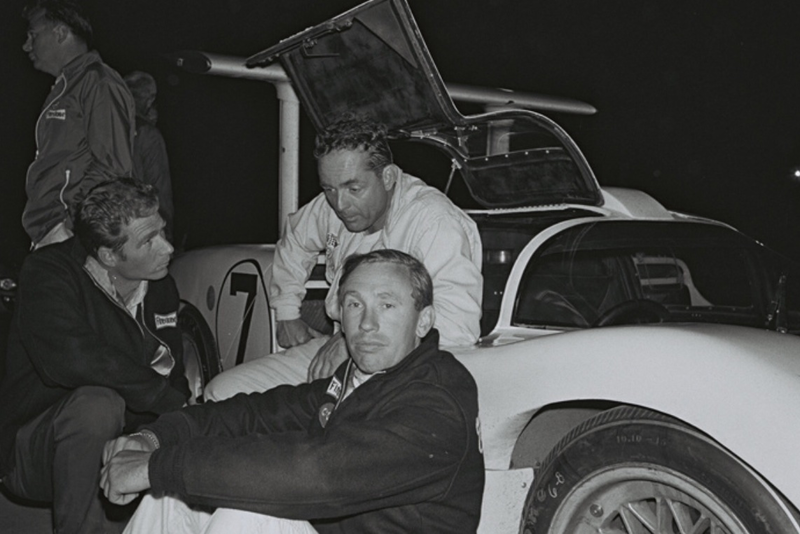 Close friends David Stanbridge and Alan Brodie were important to his success and most critically George Copeland, his fulltime mechanic. In those far away days a living could be made, sort of, with some trade support, from start and prize money as part of the European F1 Circus participating in a mix of Championship and Non-Championship (NC) Grands Prix. Bob’s aims in his first year were to ‘cut his GP teeth’ by mainly competing in NC events taking in some Championship GP’s later in the season. In 1963 there were 14 NC meetings, 13 of them in UK/Europe. These events were well supported by factory teams so he had his chance to ‘strut his stuff’ in fields made up of folks like him as well as seasoned professionals. He did well in the Italian events in ’63; victory at the GP of Rome at Vallelunga, admittedly in not the strongest grid of the season, 3rd in the Imola GP, 4th at Syracuse and was 6th in the ‘II GP del Mediterraneo’ at Enna-Pergusa. He was also 8th at the Solitude GP in Stuttgart. In addition the ex-factory Lola Mk4 ‘#BRGP43’ contested UK NC meetings at Snetterton and Oulton Park. 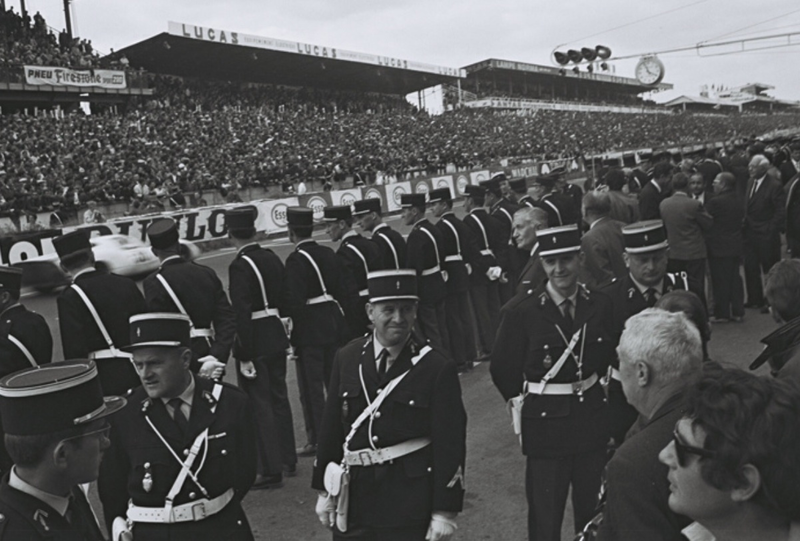 He also travelled to France to race in the Pau GP on the northern edge of the Pyrenees and to Sweden to take the grid in in the ‘9th Kanonloppet’ at Karlskoga. 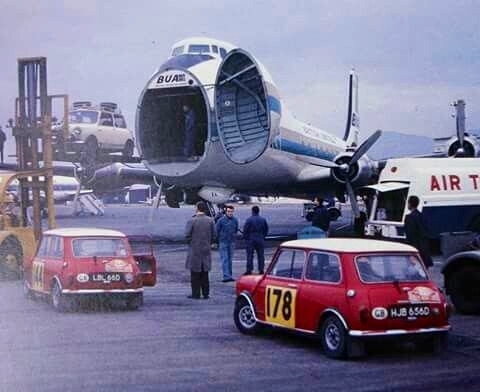 His transporter did plenty of miles that year! 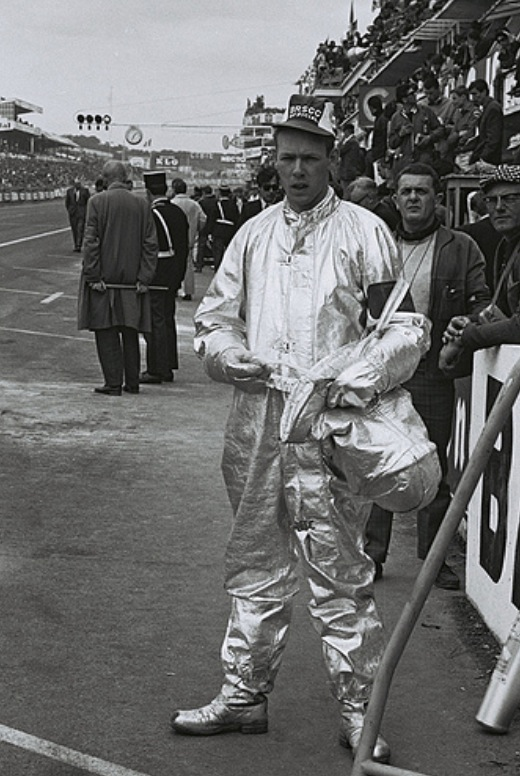 His Championship events were at home at Brands Hatch where he was 12th having qualified 16th of 23 and at Monza where he was again 12th having qualified 18th of 28 entries. By any objective assessment it was a strong start to GP racing. The Lola was a good choice, maybe not the fastest ‘tool in the shed’ even in 1962, but John Surtees placed second twice in it in 1962. For 1964 he was looking for a more competitive mount. 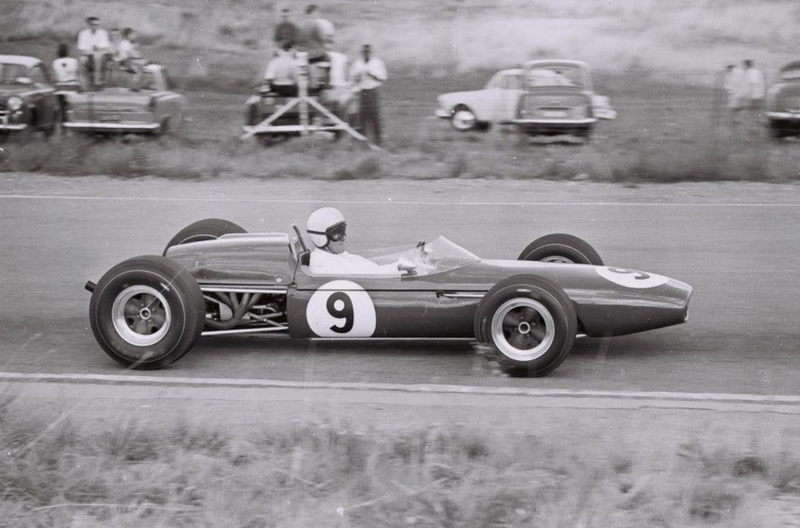 He switched to a Brabham BT11, again powered by the Coventry Climax FWMV 1.5 litre V8 for 1964, the years highlight third place behind Lorenzo Bandini and Richie Ginther at the Austrian Grand Prix at the Zeltweg airfield. Most of the fancied runners went out with mechanical trouble caused by the incredible bumps on the runways of the circuit, but it was a very strong performance all the same. 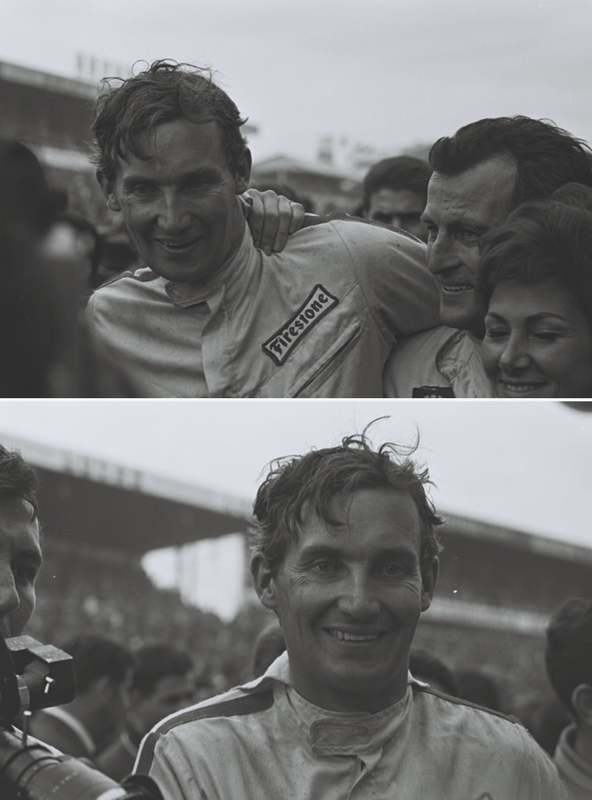 Other strong 1964 races were 6th at the Dutch GP, 7th at both Monaco and British GP’s and 11th at Monza. His best NC results were 3rd in the Rand GP in South Africa and 6th at Syracuse. 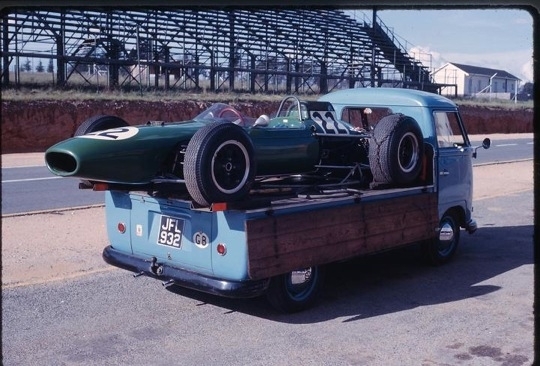 The Ron Tauranac designed and built Brabham spaceframe customer cars of all formulae were popular with customers in the 1960’s. Perhaps, statistically the most successful customer single seaters of that decade. It was therefore an easy choice for Anderson to make when he needed a more competitive mount to buy one of the five BT11’s built. 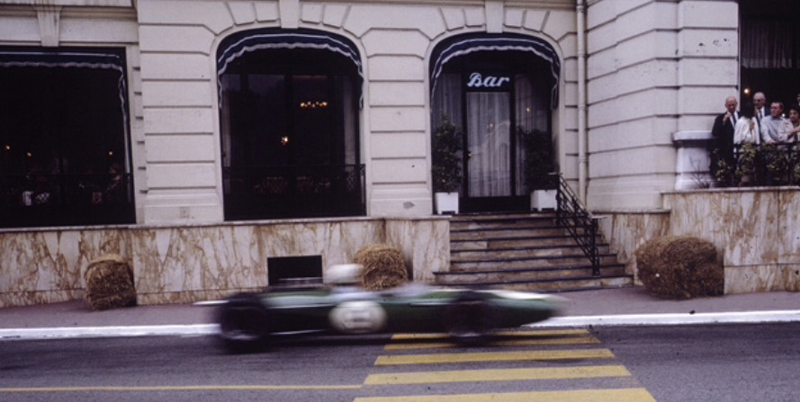 Three were sold to customers and 2 retained for use by the factory ‘Brabham Racing Organisation’ team. 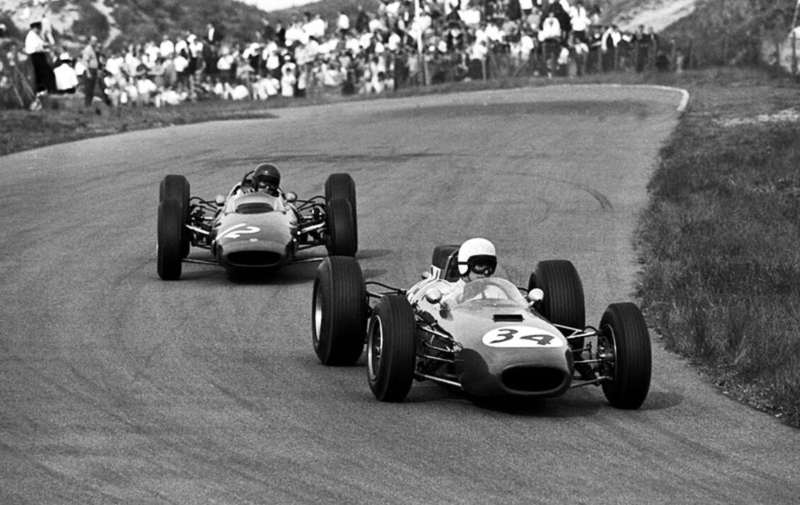 The BT11 was an evolution of the BT7 with which Dan Gurney won 2 GP’s in 1963. So Bob had a very competitive tool for the final year’s of the 1.5 litre formula. 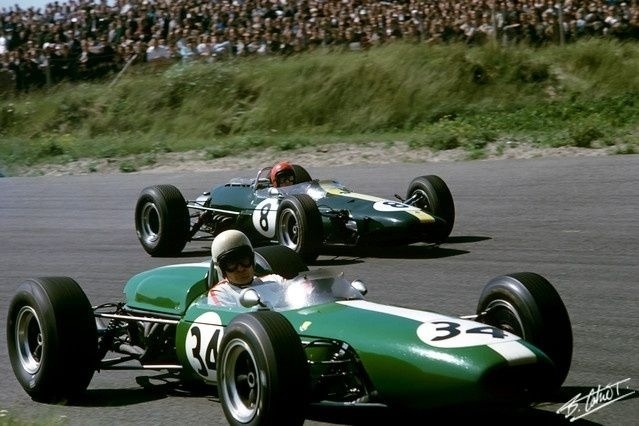 The Lotus 25/33 was the dominant car of 1964/5, Jim Clark took his second world title in it in 1965, but the BT11 was a good, fast, reliable, robust, easy to maintain customer car. 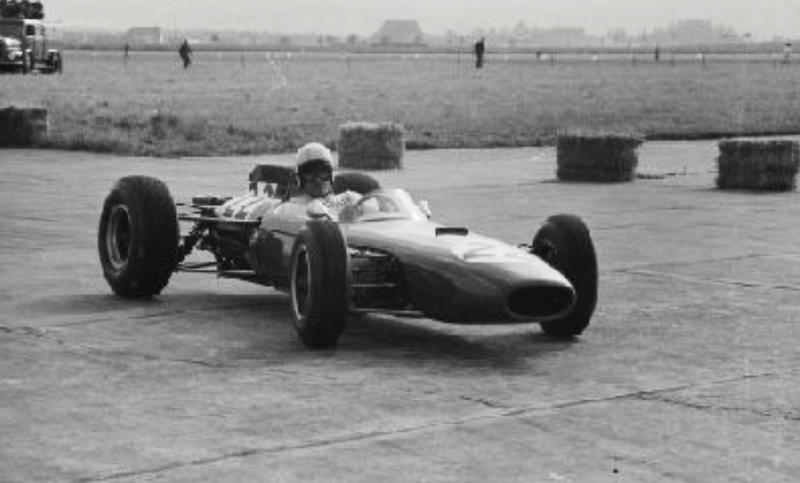 Gurney used his BT7 during 1965 with three 3rds and two seconds to finish the title in third place. 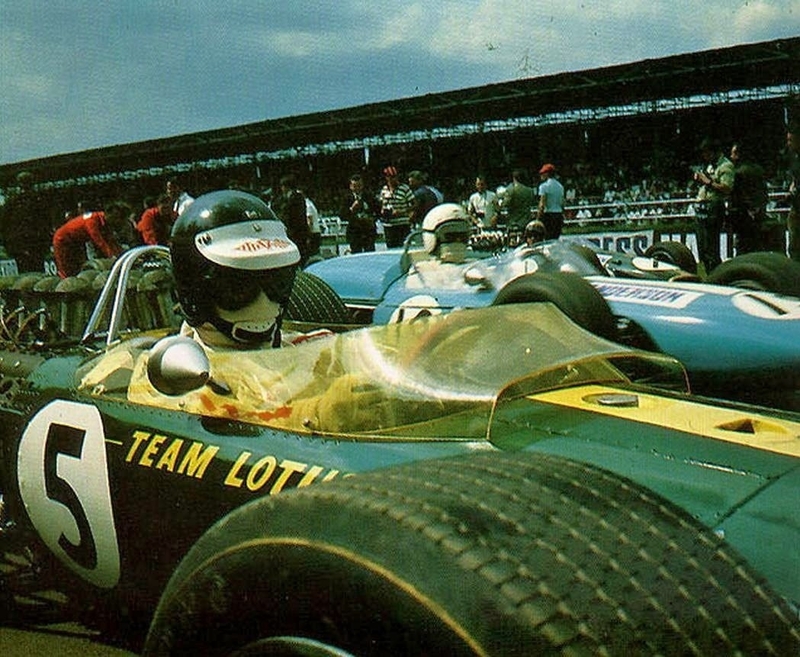 Jack changed from his BT7 to a BT11 in Germany, it was not his best season, third at Watkins Glen his best result, better was to come for him in 1966! Magnificent shot of a typical 1.5 litre F1 car of the 1961/5 period. Andersons BT11 ‘F1-5-64’. 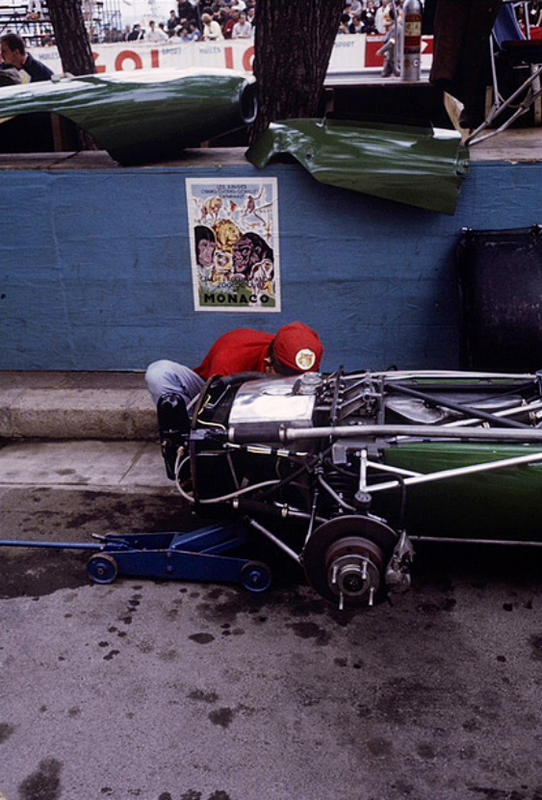 In this case a spaceframe chassis, Lotus ‘pioneered’ the monocoque with its type 25 in 1962. Mid-engined of course, the Coventry Climax FWMV V8 the most successful engine of the period in terms of race wins. 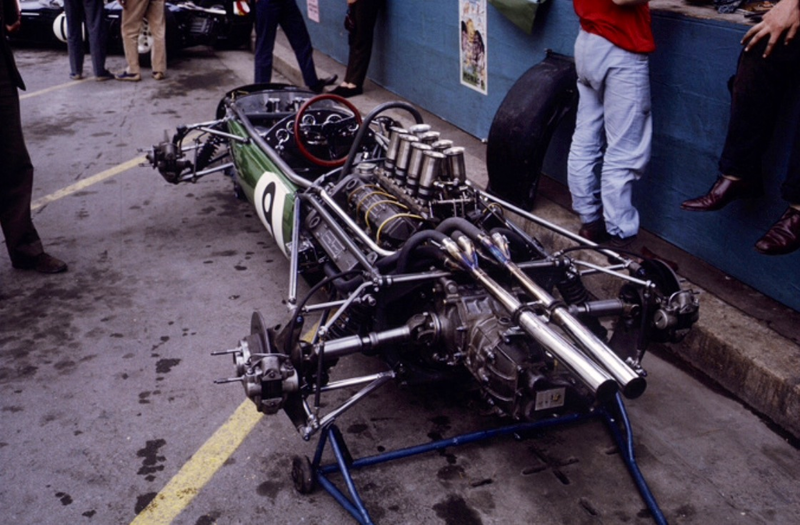 Hewland HD5 gearbox and all independent, infinitely ‘tunable’ suspension. In this front end shot you can see the oil reservoir in front of the pedal box and Lucas fuel injection pump mounted vertically in front of the radiator. The spaceframe chassis tubes are clear, as is the pendant pedal box, aluminium fuel tank and front suspension comprising upper and lower wishbones. Small rotors and Girling brake calipers, they were light cars after all! Heart of the matter is the ubiquitous Coventry Climax FWMV 1496cc 90 degree V8 engine. In Mk4 spec the 2 valve, DOHC, Lucas fuel injected, all alloy motor produced circa 200bhp@9750rpm. Trick 32 valve engines available to some of the factory teams in 1965 developed more but the engine was an excellent customer choice. 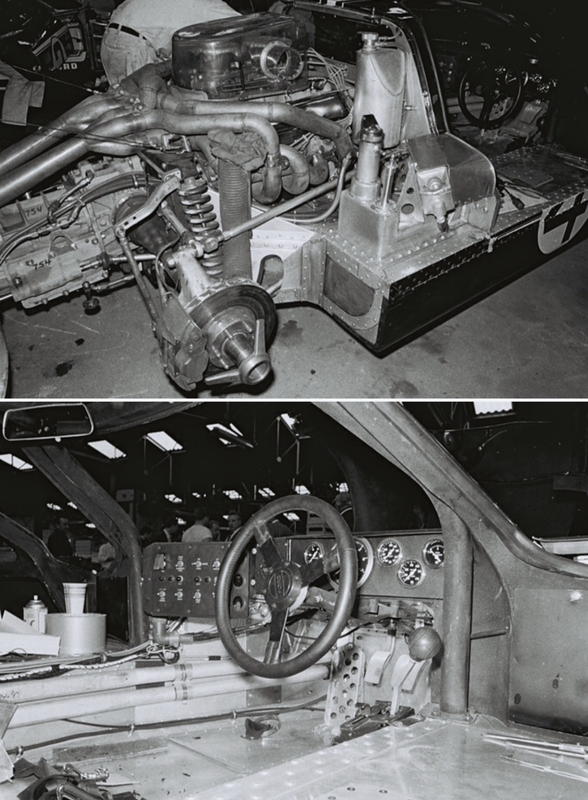 The gearbox was Mike Hewlands HD5, 5 speed transaxle. The cars rear suspension, typical of the period comprised a single upper link, inverted lower wishbone, coil spring/damper unit and two radius rods providing fore and aft location. Adjustable roll bars were fitted front and rear. In 1965 Anderson’s Championship results had too many DNF’s. Highlights were qualifying 12th for the South African GP, finishing and qualifying 9th at Monaco and finishing 9th in the French GP at Clermont Ferrand. 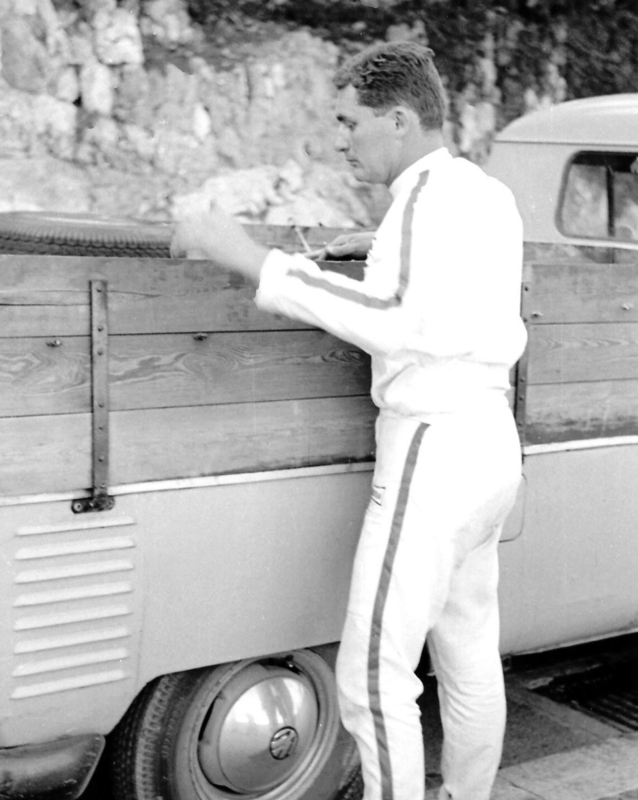 In ’65 NC events he was 6th at Syracuse with again too many DNF’s; at Silverstone, Goodwood and Brands Hatch. 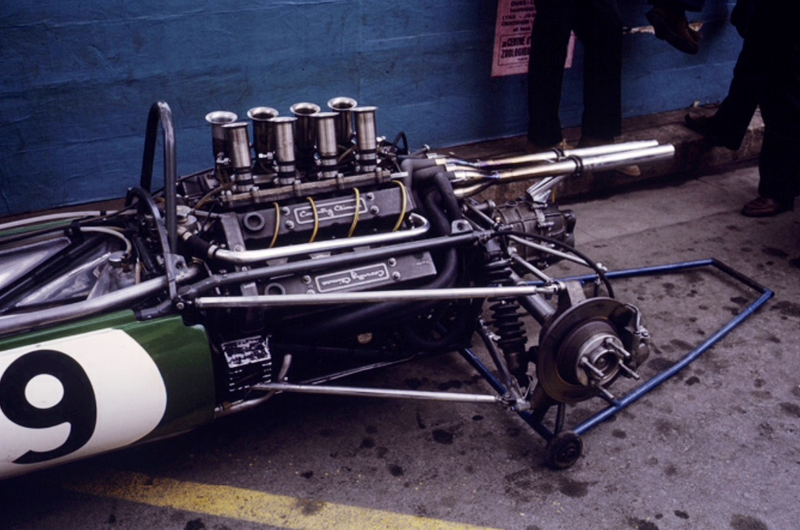 For 1966 Grand Prix racing had a new formula based around engines of no greater than 3 litres capacity, this presented a big problem for most entrants as Coventry Climax, suppliers of engines to the British teams since the late 1950’s withdrew from F1. 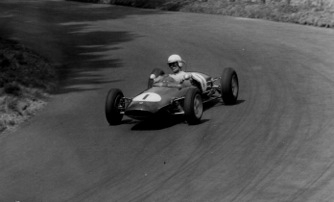 Anderson’s solution was to use the old Coventry Climax 4 cylinder FPF engine, dominant in the last years of the 2.5 GP formula in 1959 and 1960. This engine had ongoing use and development in Australasia where it was essentially the engine of choice in the Tasman Championship, an annual series of 8 races, 4 each in New Zealand and Australia in January and February. 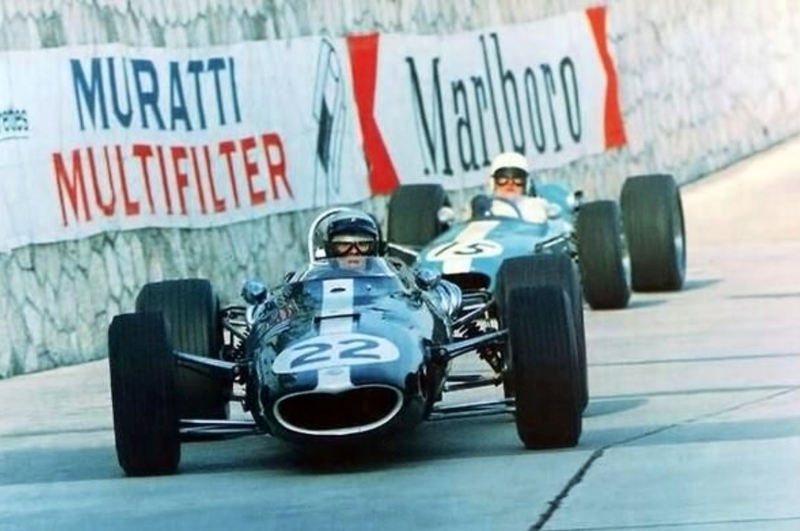 Bob was in good company, Dan Gurney also used the 2.7 litre ‘Indy’ Climax FPF in his new for ’66, Eagle T1G until his Weslake built V12 engine was raceworthy, that engines first GP at Monza in September. 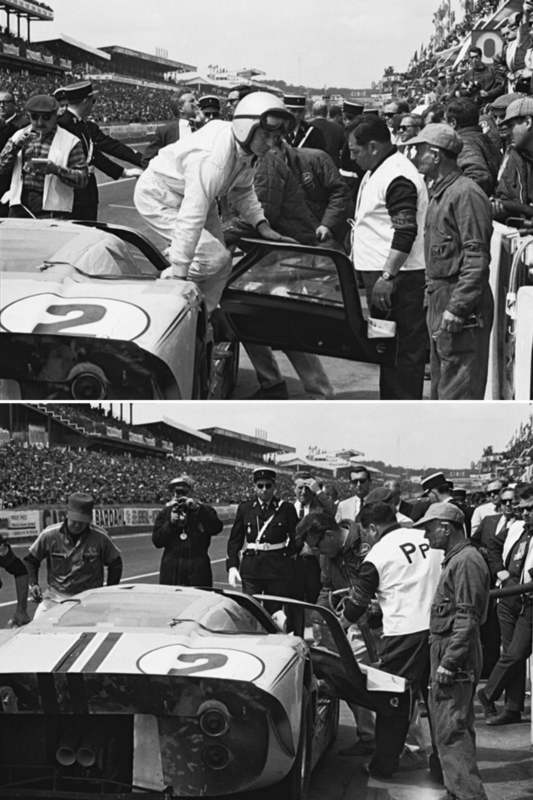 In fact Anderson outqualified Dan at Reims in the ‘battle of the FPF’s, Gurney in front elsewhere the drivers met. The conversion of his BT11 from Coventry Climax V8 to 4 cylinder FPF specification was relatively easy as Ron Tauranac built a variant of the BT11, you guessed it, the BT11A for Tasman use, selling 5 such cars in the Antipodes, competitive tools until late in the decade. Given all of the foregoing, remember his car was already 2 years old at the start of the season, his results in this year of transition were impressive. He qualified 8th at Monaco for DNF, 10th at Brands for the British GP DNF, finished 6th at Monza having qualified 15th and qualified 14th on the Nurburgring, half way down the big grid in his little old car, again DNF. 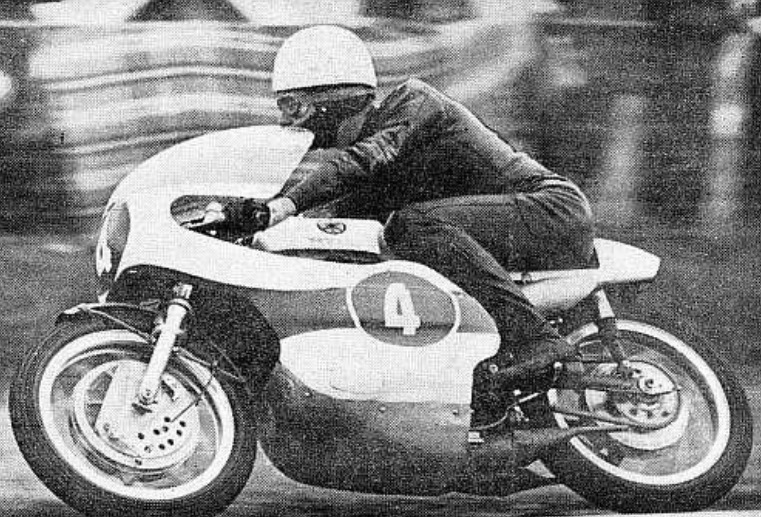 Bob never fully left motor-cycle racing, he contested the Dutch 250 GP at Assen in June 1966, an interesting interlude in mid-season! He was hired as a ‘safe pair of hands ‘ to provide feedback as an experienced rider to Yamaha who were developing their new 4 cylinder engined bike, the Yamaha RD05. 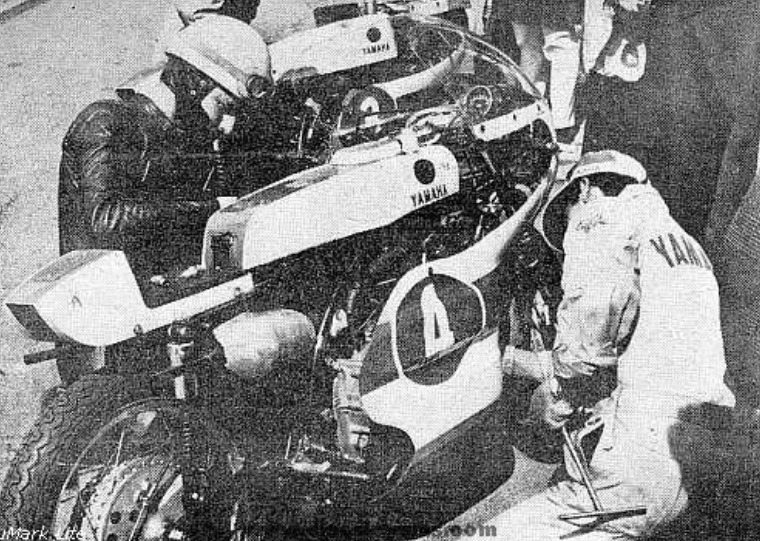 Anderson’s assistance was around the bikes handling, he rode to 5th, only Hailwood, Phil Read, Jim Redman and Derek Wood were head of him. Not bad for a current F1 driver and someone who had been away from bikes for a bit! I wonder if he is the only driver/rider to race in F1 and motor-cycle GP’s in the same year? Not sure if John Surtees raced his MV and for Lotus in the same season? 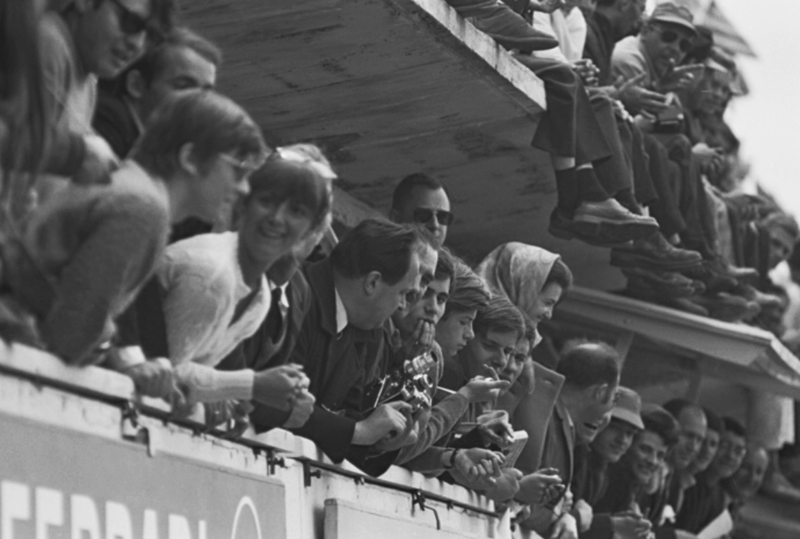 Dutch GP, 24 July 1966. Anderson’s 2.7 litre Coventry Climax FPF engined Brabham BT11 with old FJ Lotus Teammate Peter Arundell on his outside in the factory Lotus 33 BRM 2 litre. Anderson qualified 14th, 1 slot ahead of Arundell, both struggling with engines well short of 3 litres. 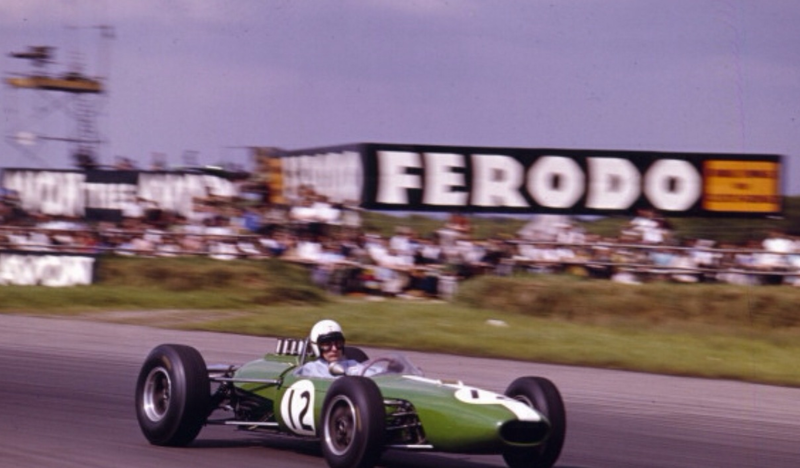 Both DNF in the race won by Jack Brabham’s Brabham BT19 Repco. 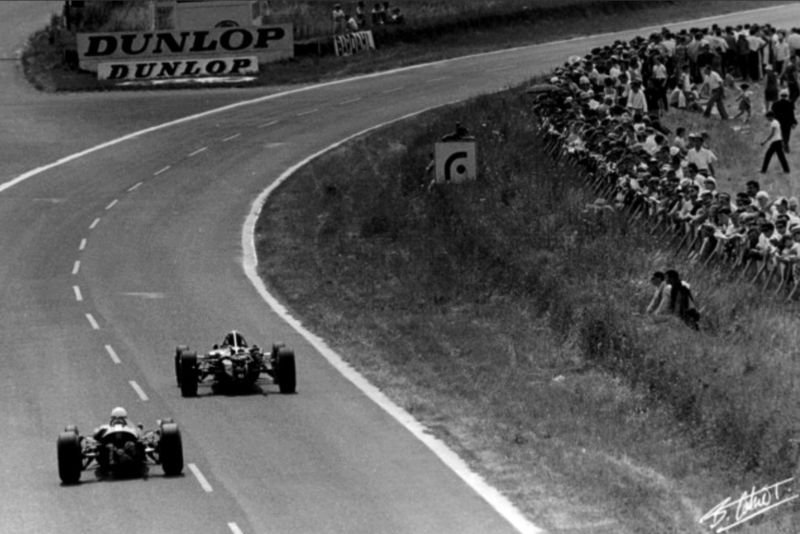 Anderson contested the French GP at Reims straight after Assen qualifing his old car 12th and finishing a fine 7th in the first race won by Jack Brabhams 3 litre Repco Brabham V8, on his way to the title that year. In 1966 non-championship events he was 7th in the International Trophy at Silverstone and won the Rhodesian GP at Kumalo on December4. Looked at objectively, his results deserved a factory drive, if not in F1 then certainly in sportscars. Perhaps one of you can explain why he seems to have been overlooked? 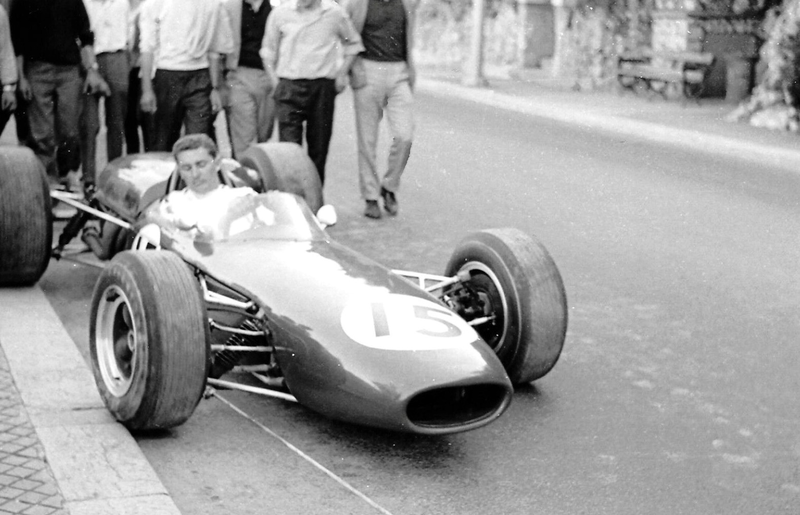 He started 1967 well having left his Brabham in South Africa that summer. 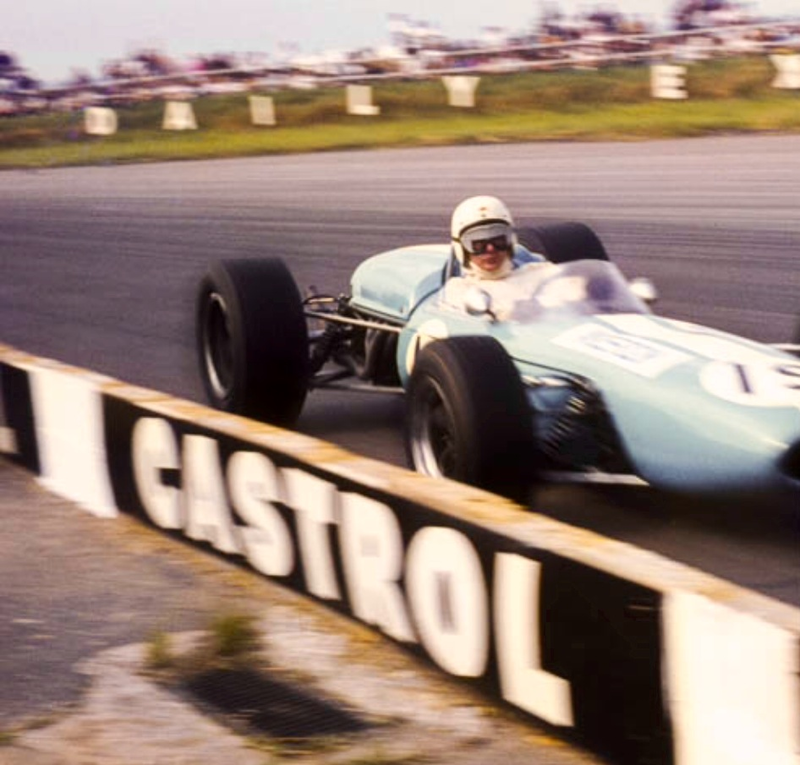 He was 2nd in the Cape South Easter GP on 1 January, John Love took the win in the Cooper T79 Climax he acquired from Bruce McLaren, that car having won the Australian GP at Longford in early 1965. Even better was 5th place in the South African GP, that year a championship round. In April he was 8th at Silverstone’s International Trophy. 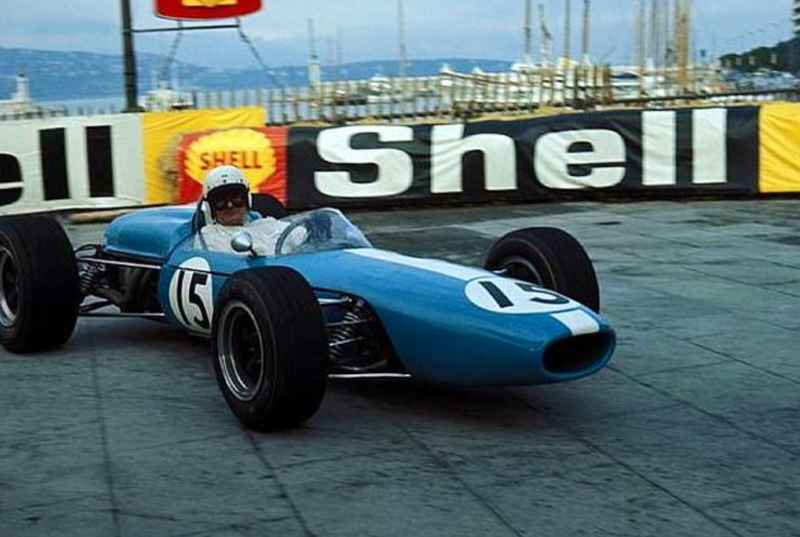 At Monaco he didn’t qualify which is not so much an indication of his speed but rather his aging car and the relative number of full 3 litre F1 cars now competing. In Holland he was 9th, 8th at Spa. He retired at Le Mans with ignition failure, the race held at the legendary track, or a shortened version thereof in ’67. 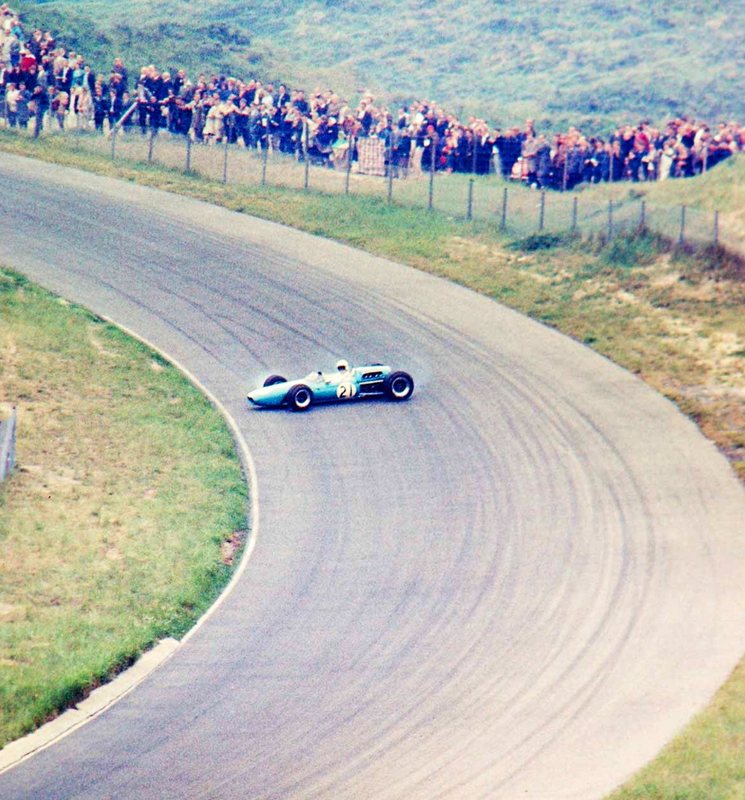 The shot above shows Bob Anderson’s old Brabham BT11 Climax beside F1’s state of the art; the new at Zandvoort, Lotus 49 powered by the 3 litre Ford Cosworth V8, Bobs Climax FPF was giving away around 150bhp to the 400bhp Cossie. 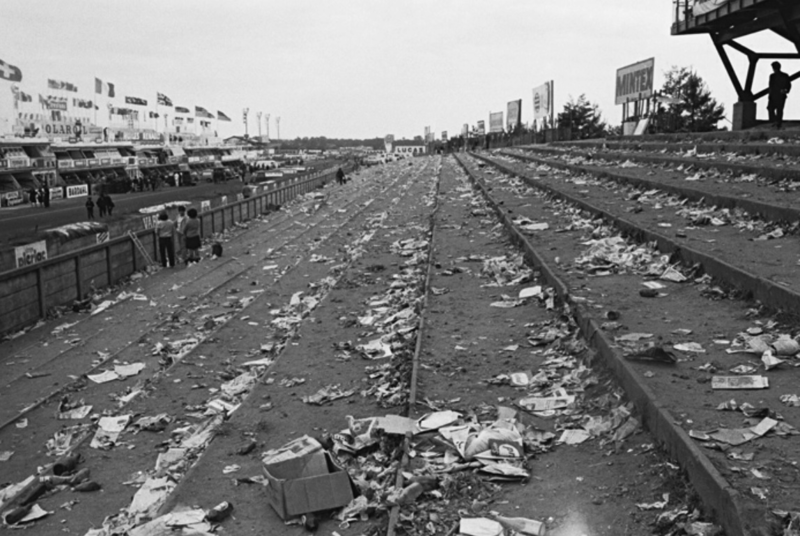 Sadly, Silverstone was the Brits last race, he qualified 17th and retired on lap 67 with engine failure, Clark won the GP in a dominant performance. 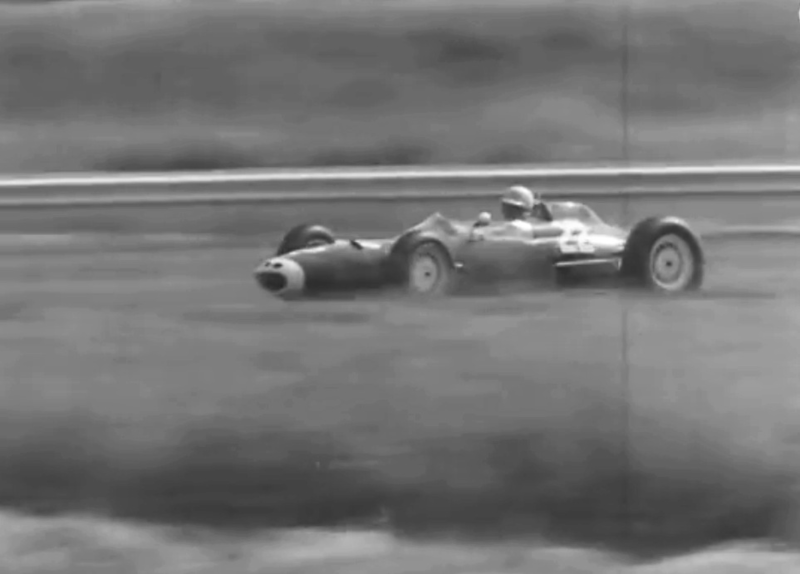 Anderson missed the following German GP but was testing in the Brabham in the wet at Silverstone on 14 August prior to the Canadian Grand Prix. The car slid off the circuit and collided with a marshal’s post. He suffered serious chest and neck injuries and died later in Northampton General Hospital. It was a sad end to a fine rider and driver with strong engineering/mechanical skills, somebody i was aware of but did not know much about. A driver who deserved a ride in a factory car methinks! ?